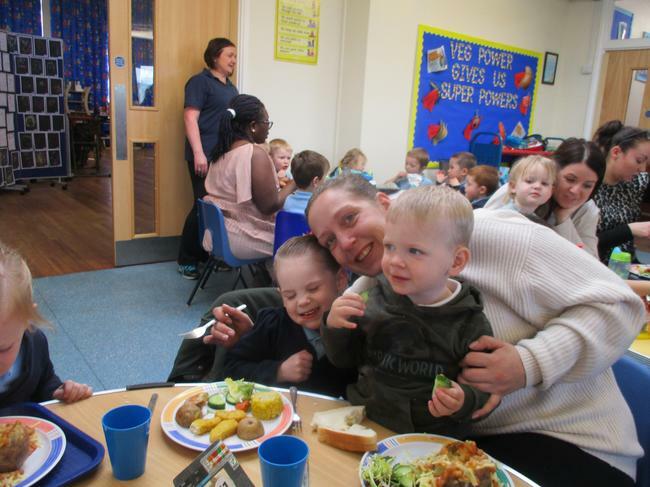 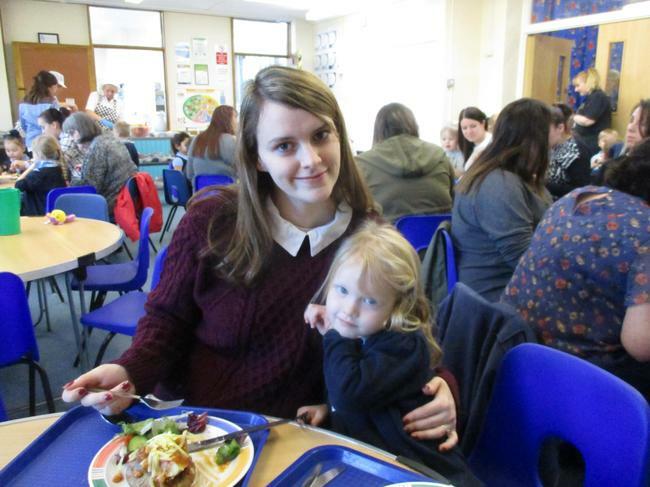 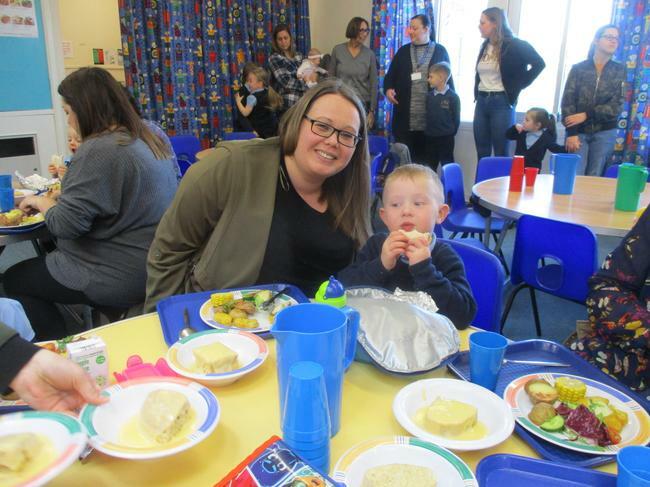 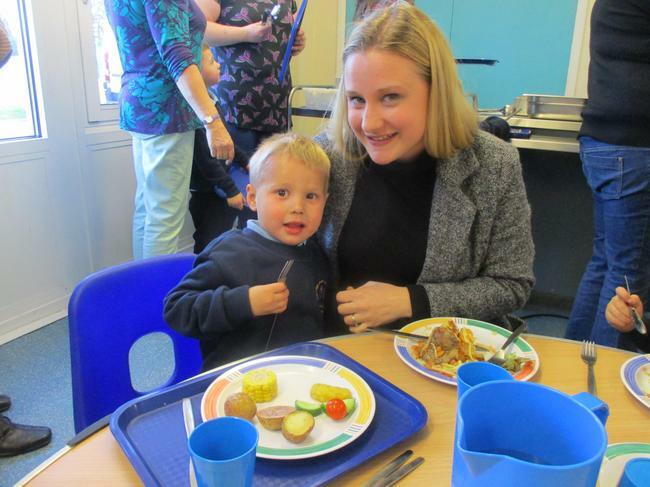 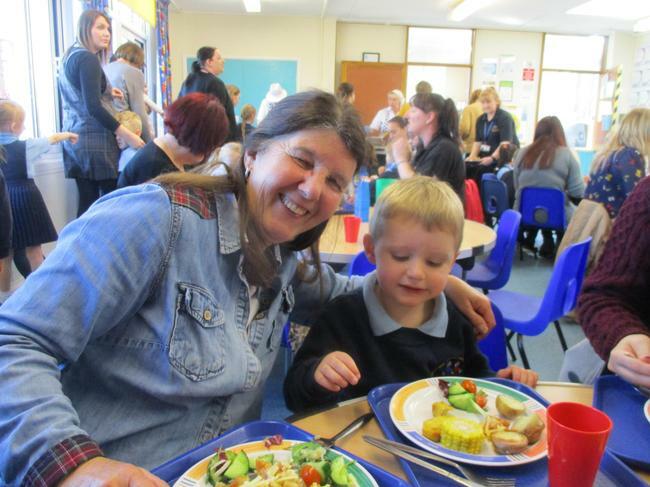 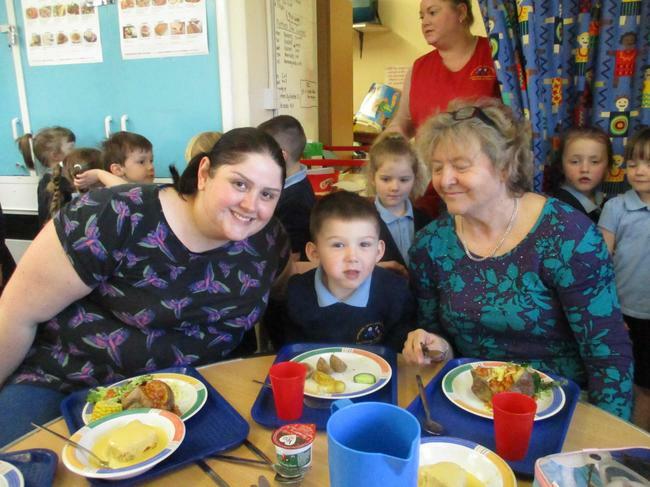 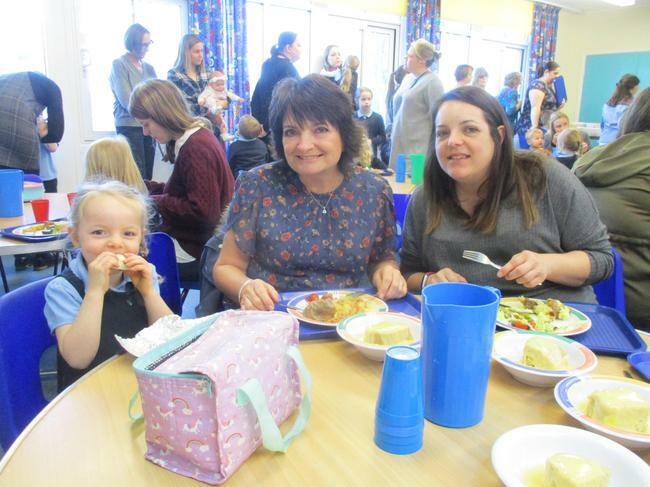 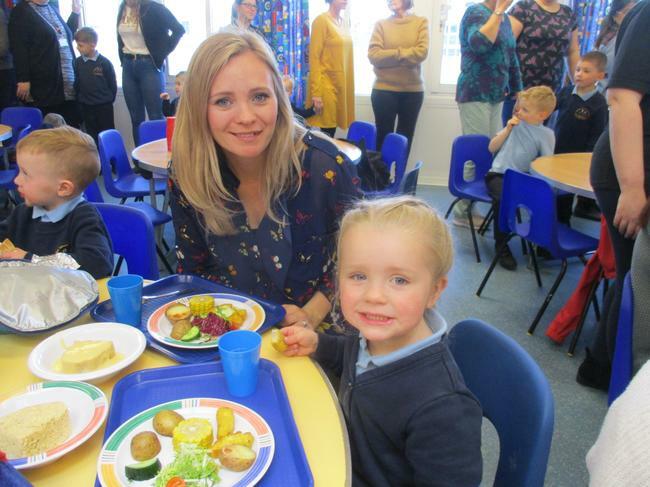 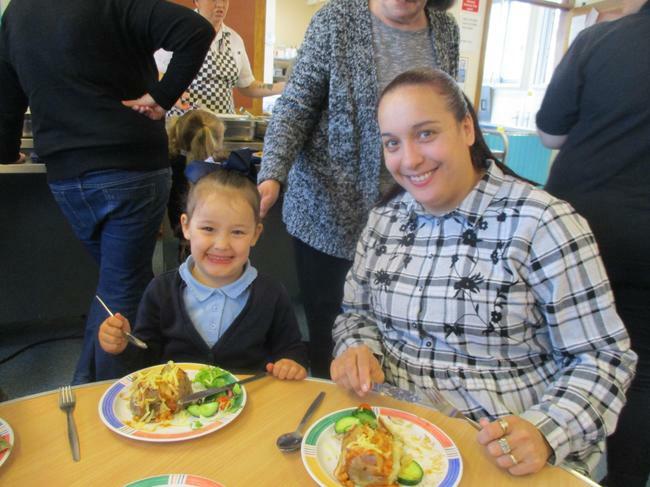 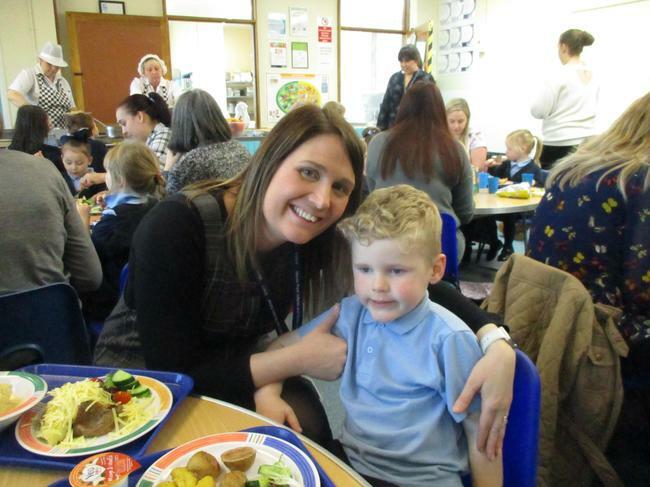 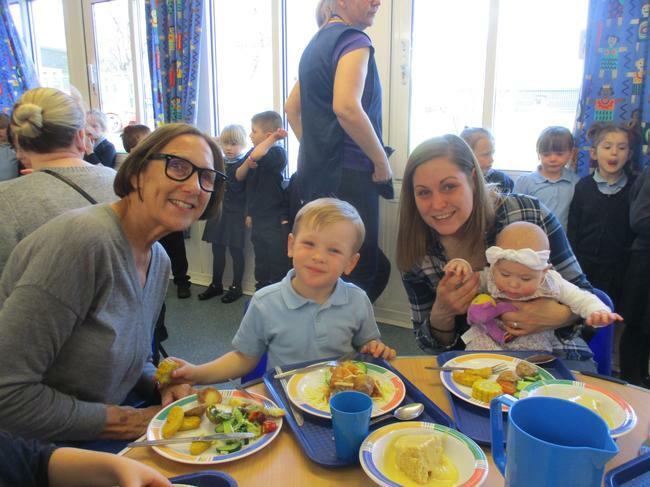 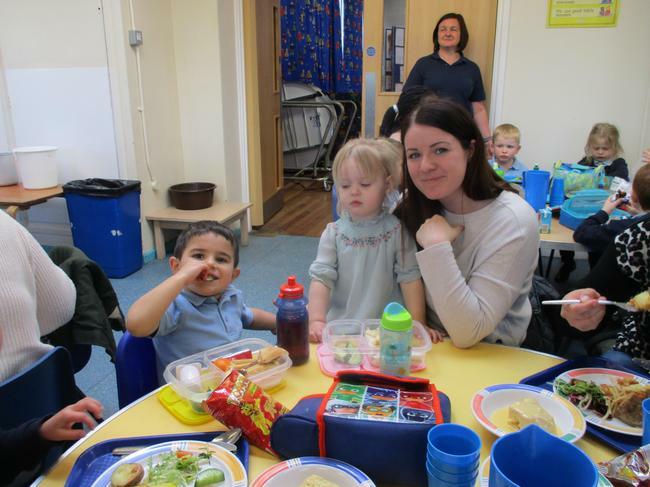 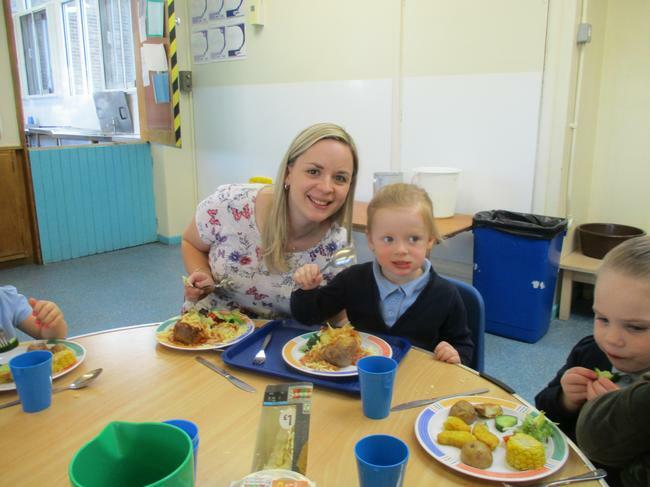 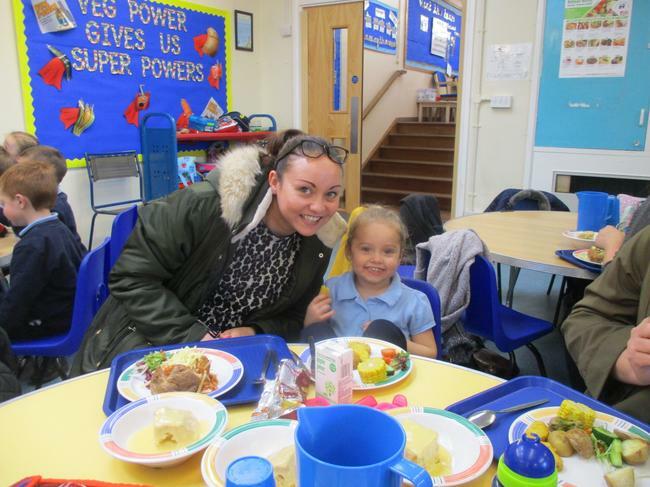 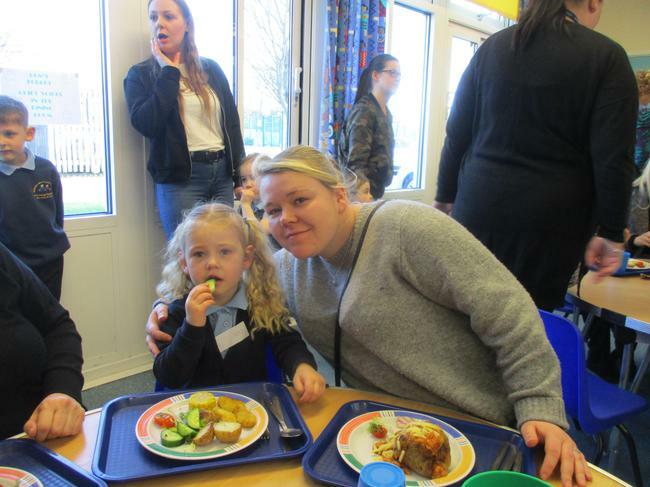 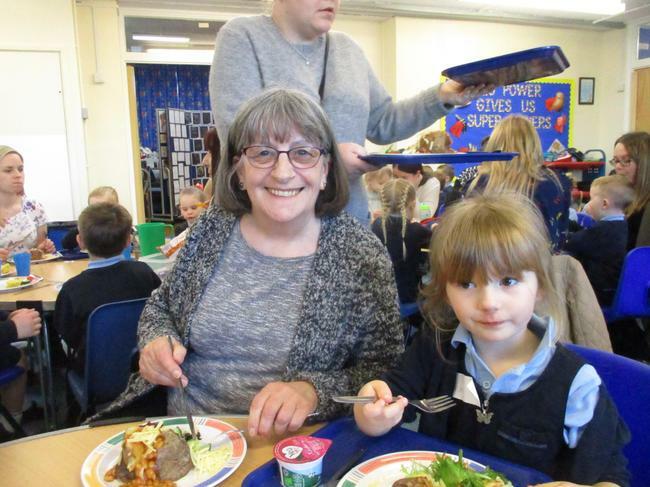 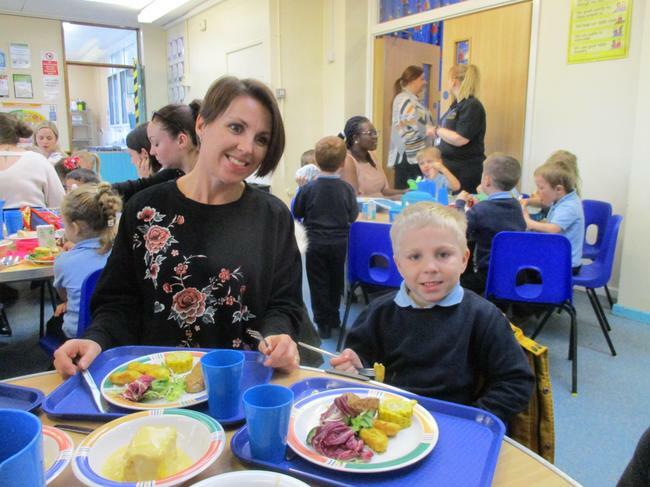 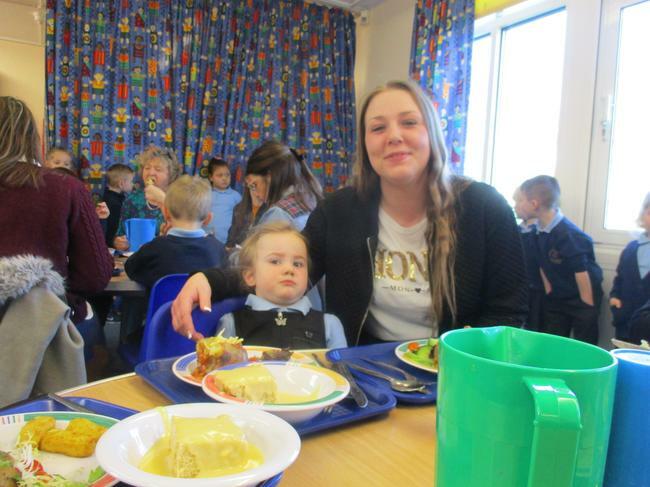 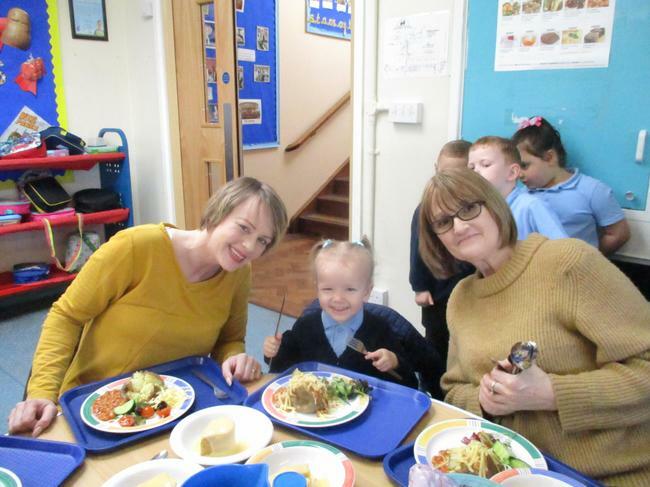 To celebrate Mothers Day we invited our Mum or Grandparent to come and share a special lunch with us. 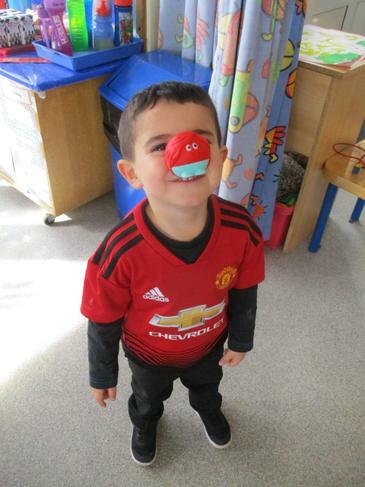 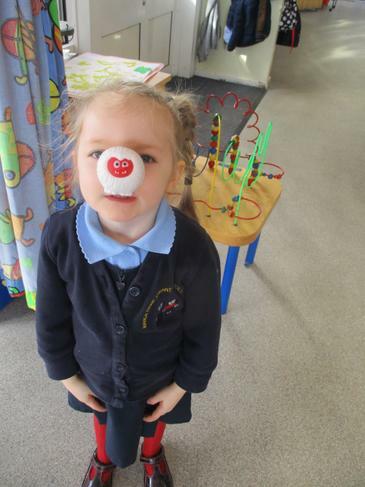 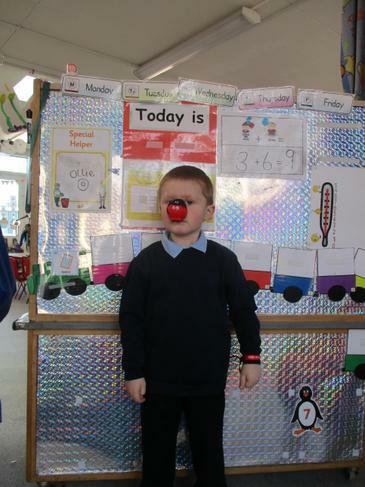 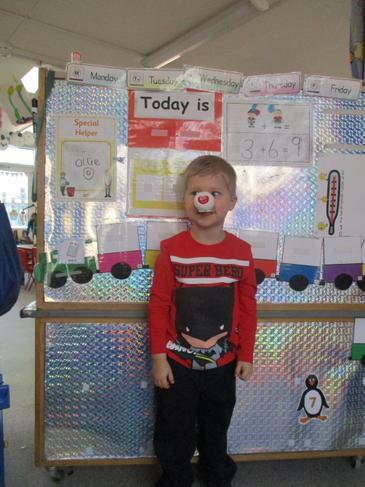 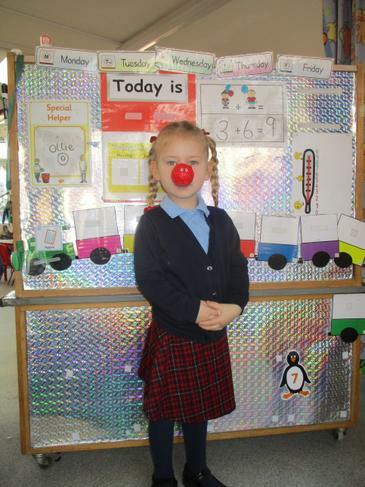 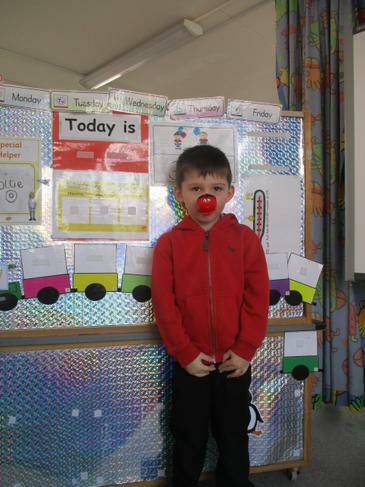 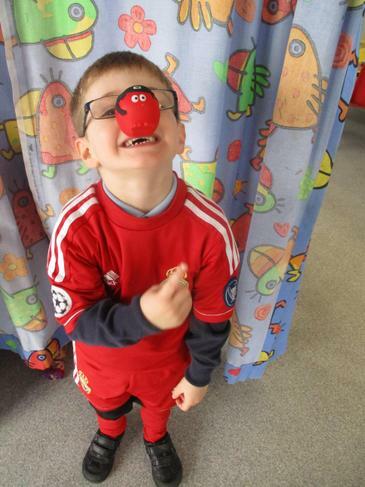 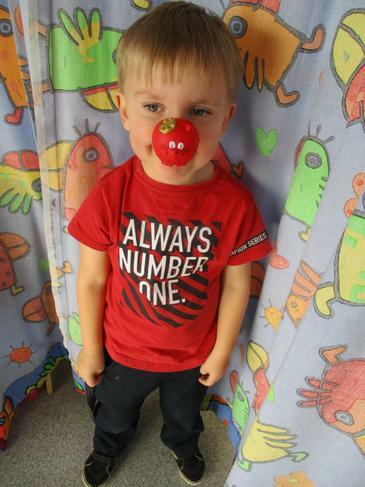 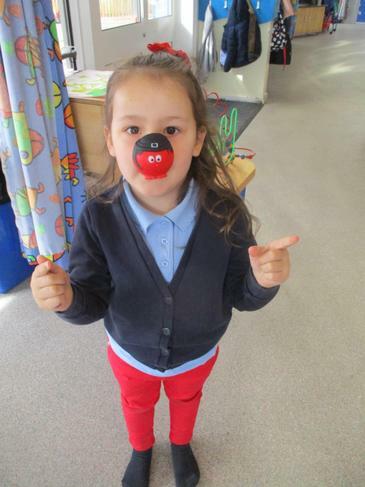 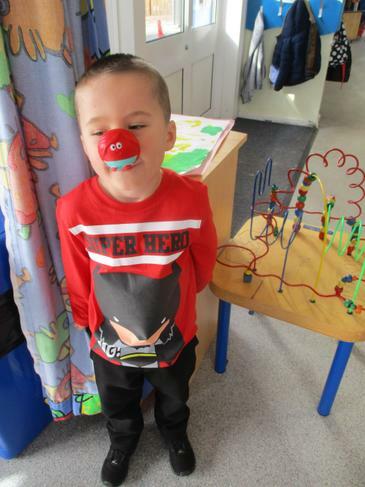 We had so much fun on Red Nose Day. 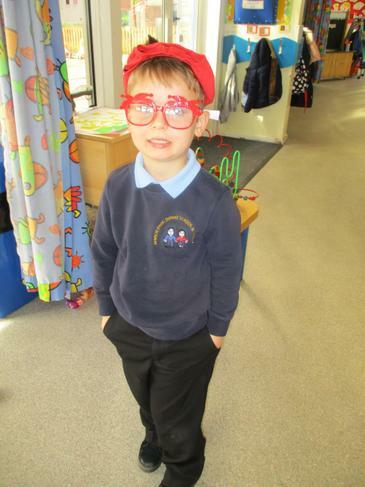 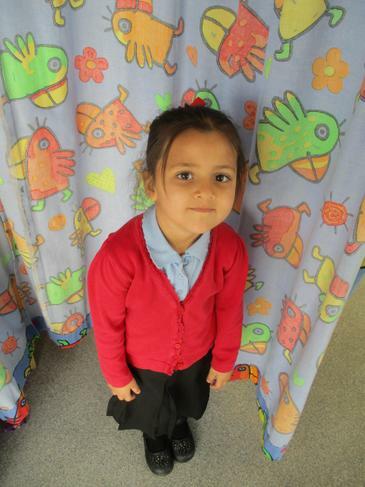 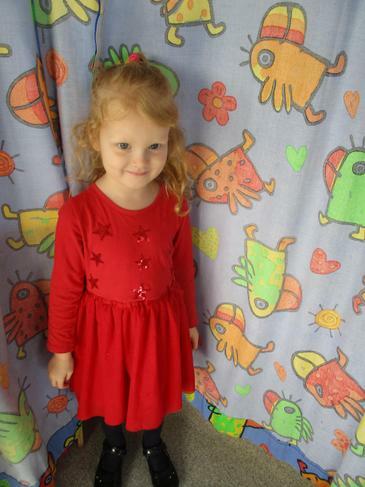 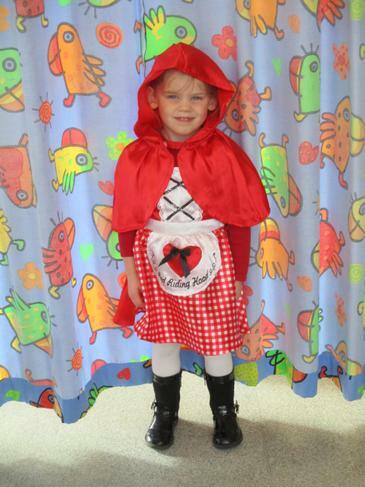 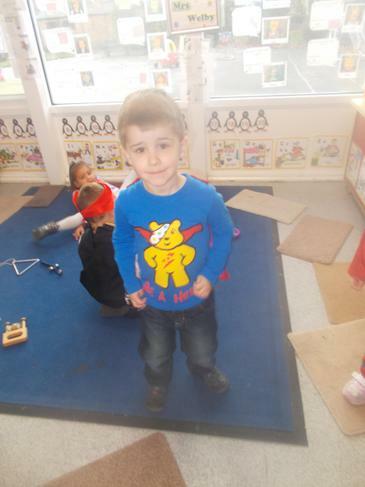 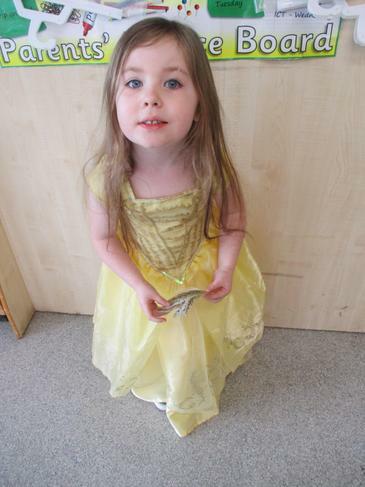 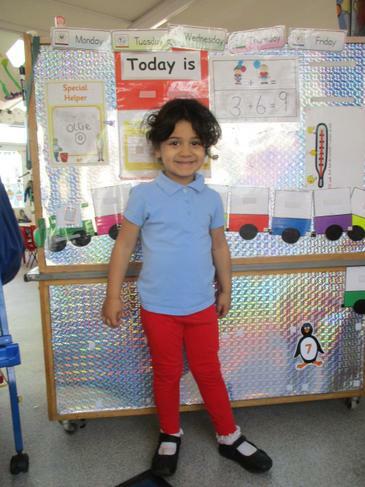 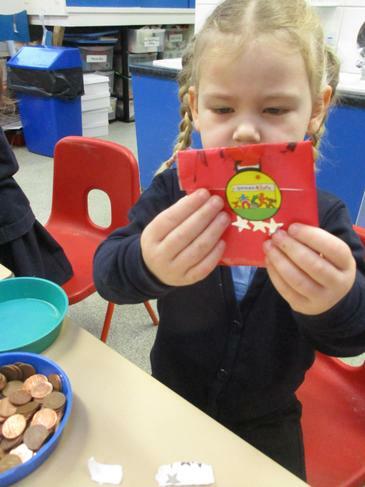 We worked with the school to support the charity by wearing something red and donating a pound. 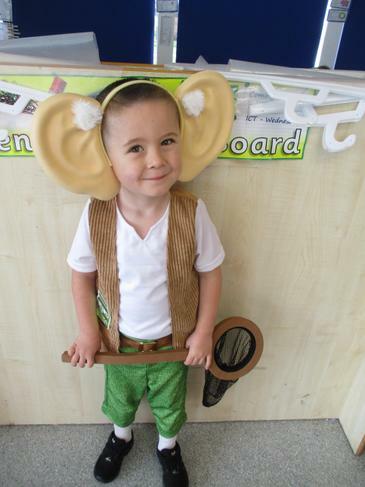 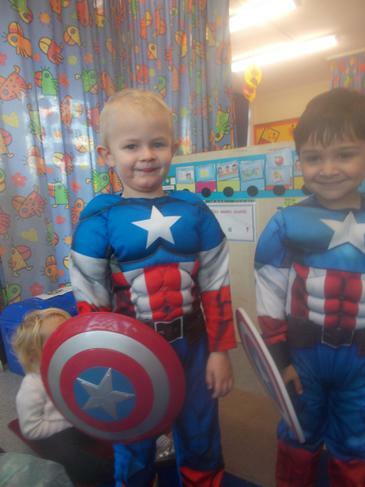 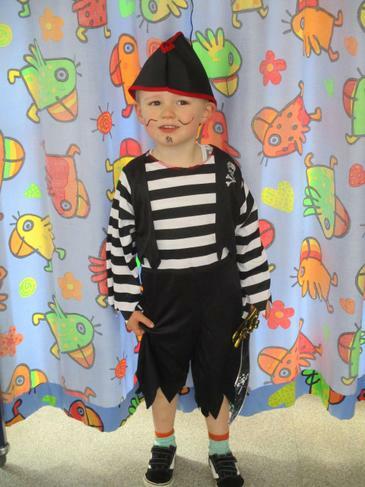 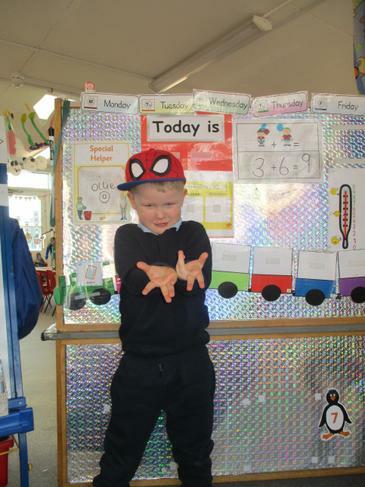 We had a fabulous time celebrating book week. 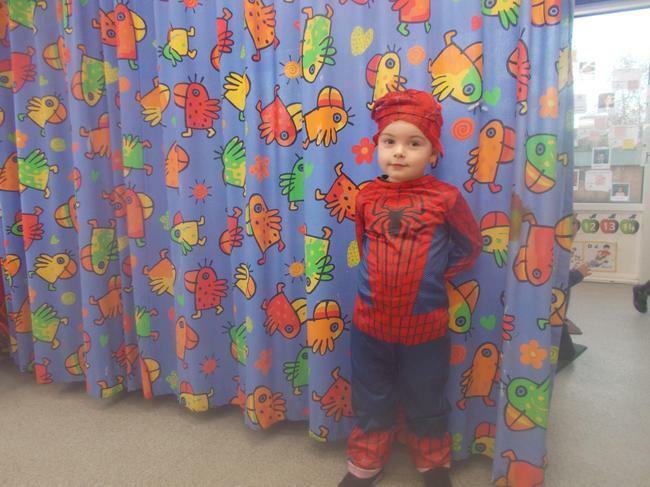 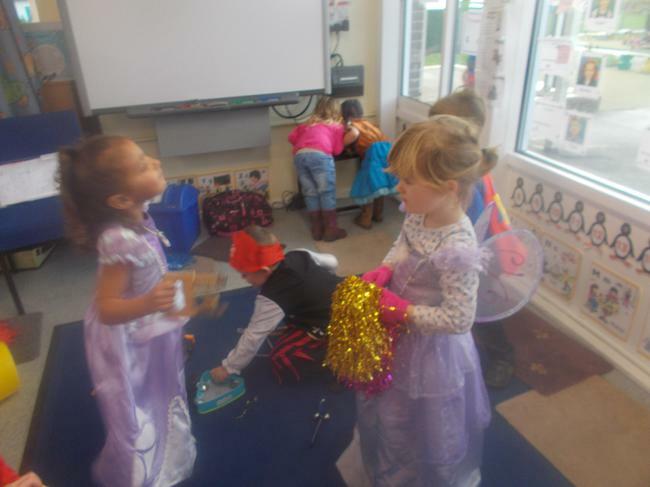 Take a look at our day dressing up. 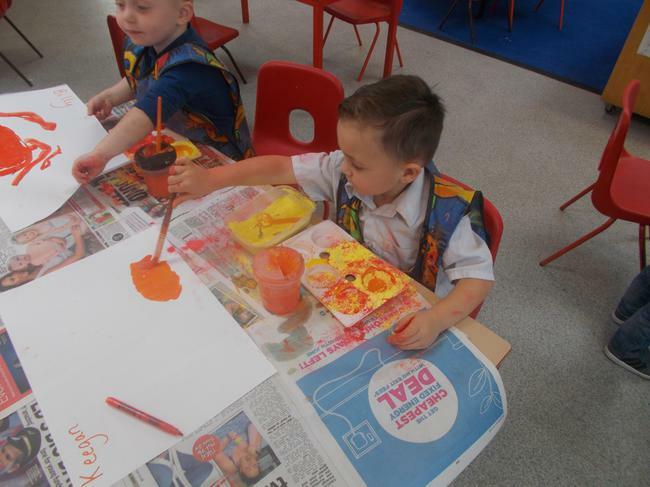 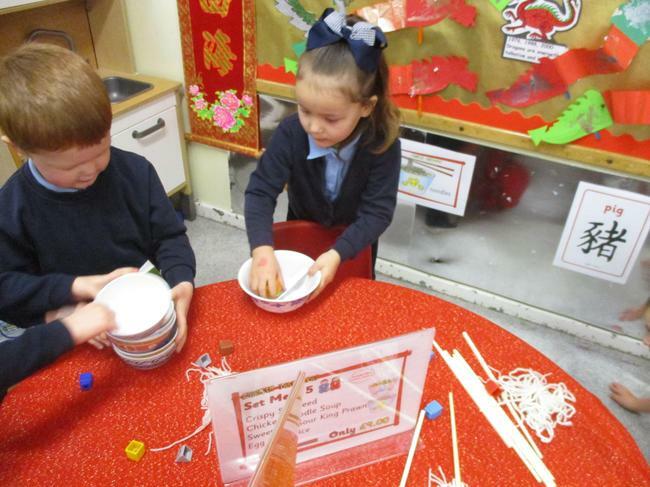 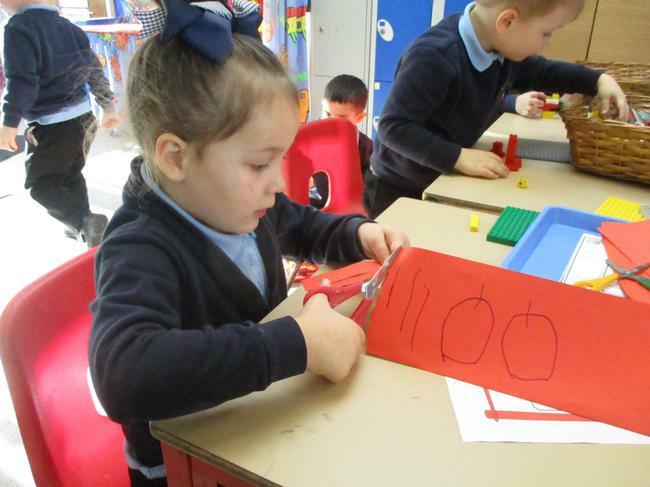 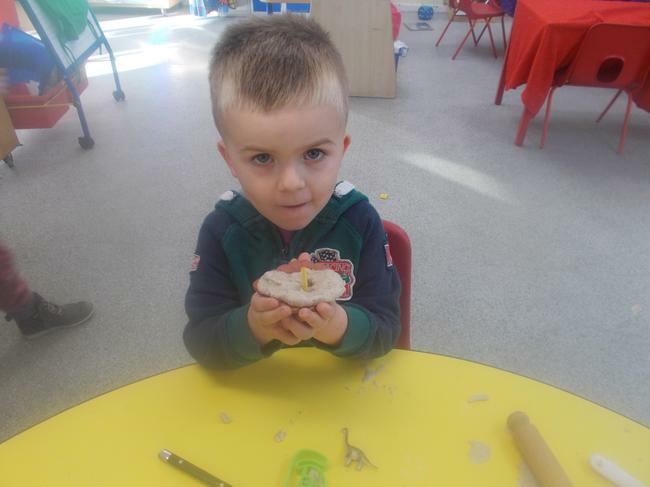 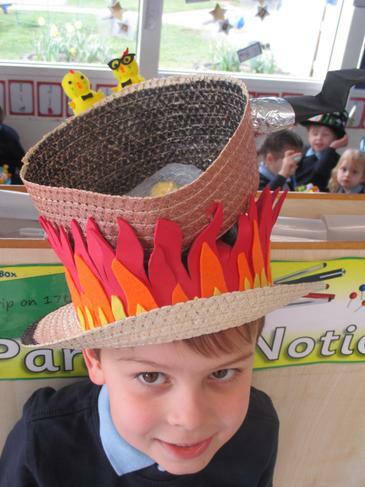 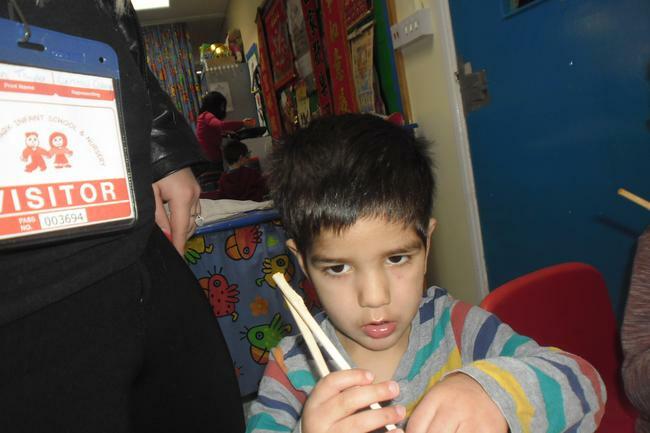 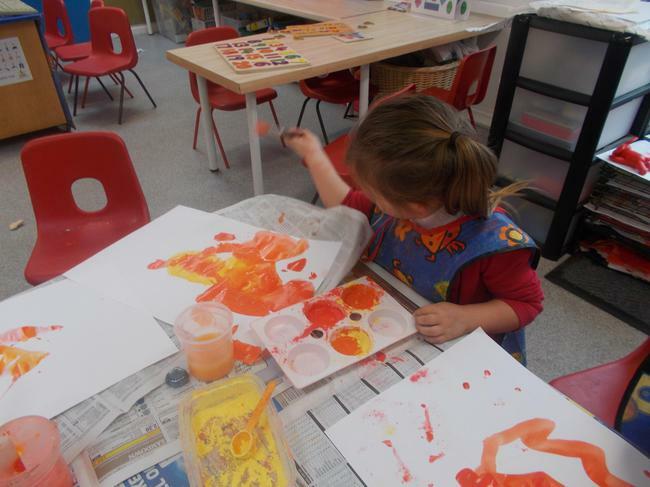 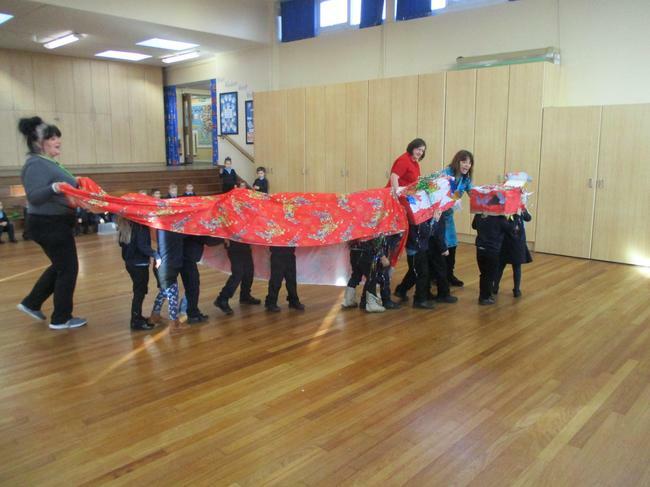 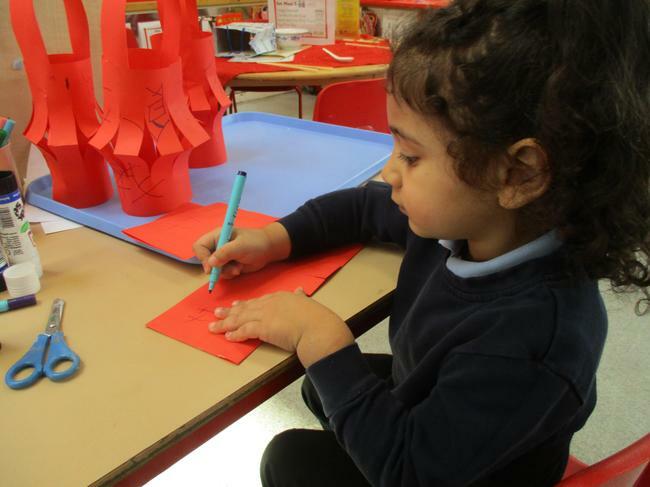 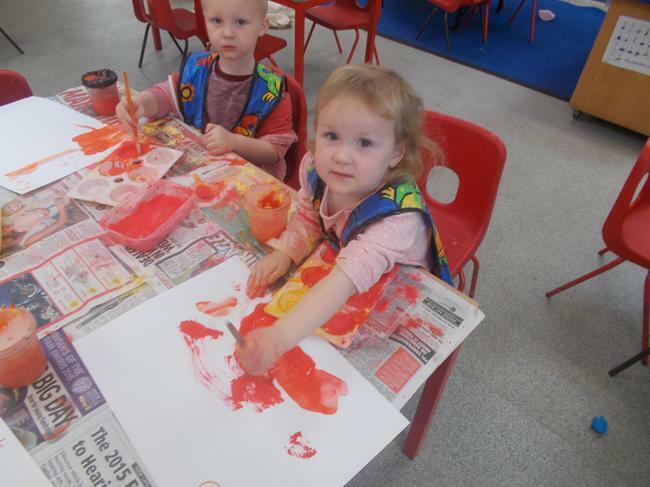 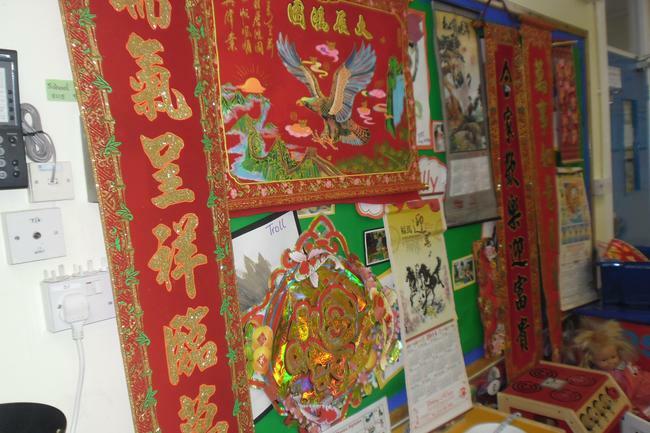 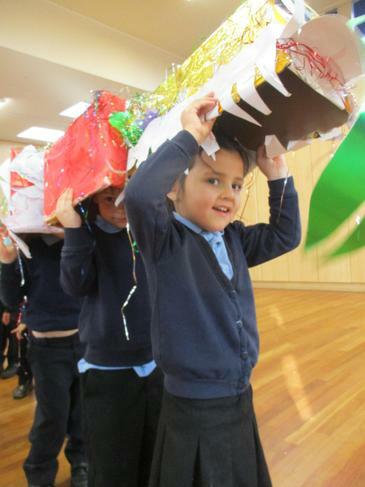 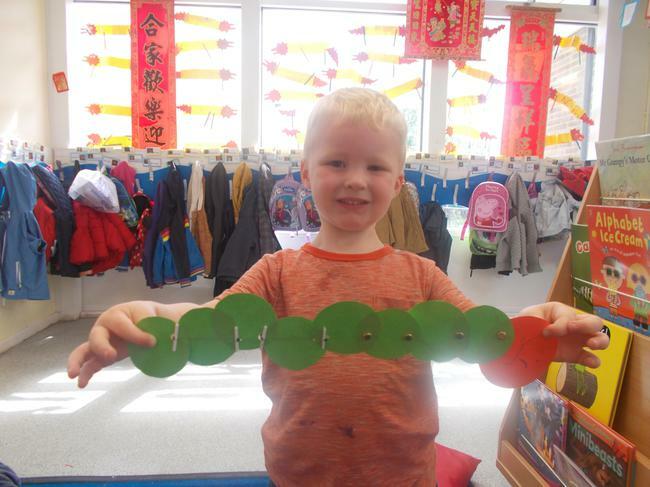 In the nursery we have been learning about the traditions related to Chinese New Year. 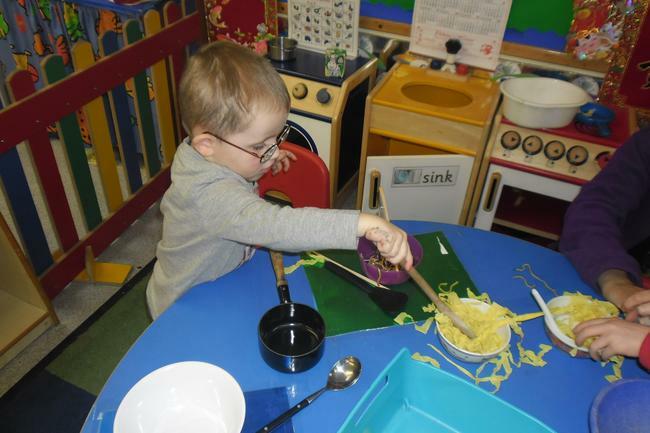 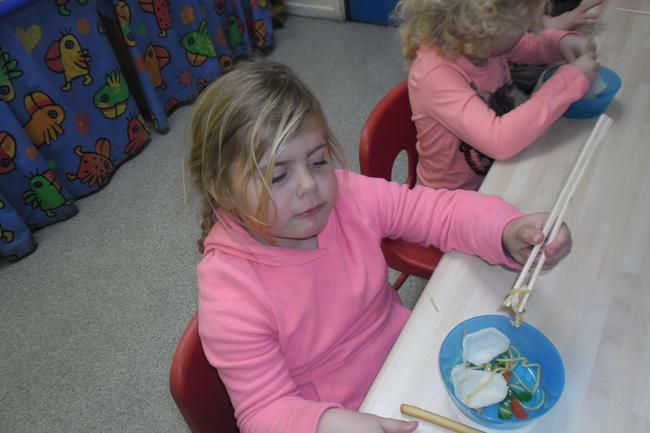 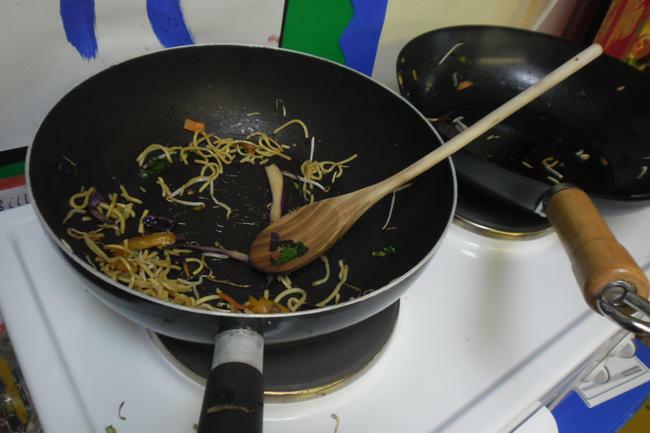 The children took part in a noodle bar role play area, Chinese dragon dancing, making lucky envelopes and creating decorations. 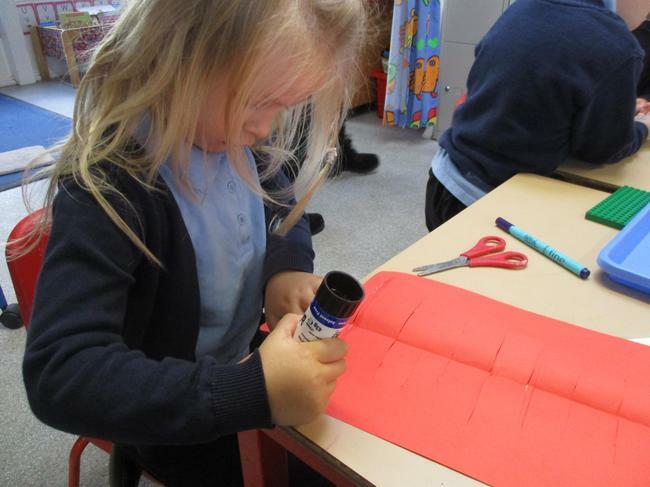 We are getting ready for the Christmas fair in nursery. 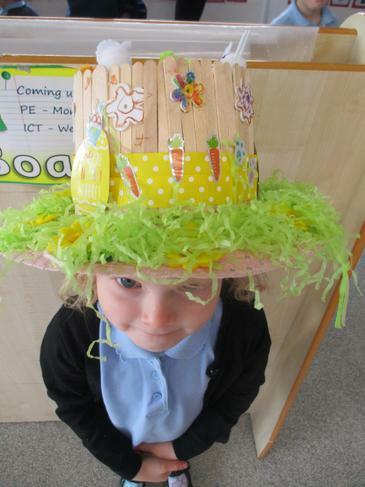 Thank you so much to those who have brought in their decorated cups or a bottle for the bottle stall. 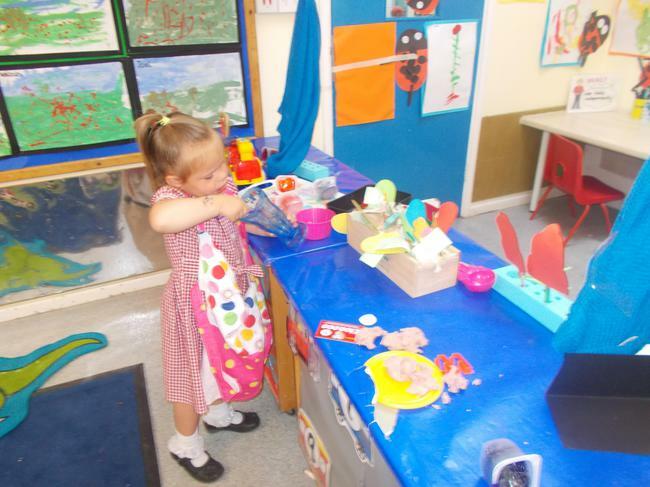 We have decided to begin a baking activity twice a week. 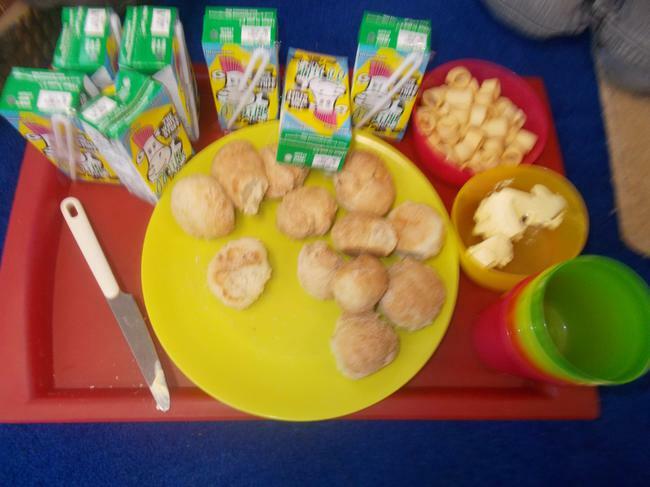 The children will take it in turns to take part but will make enough for all their friends to share. 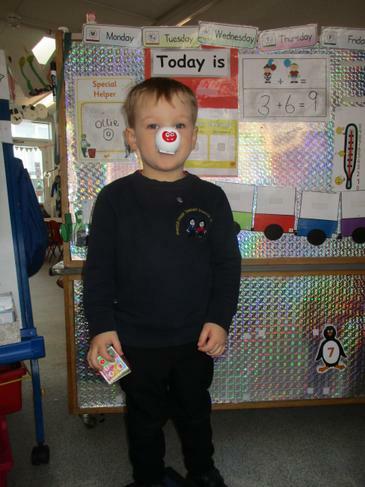 Thank you for all your kind donations to this. 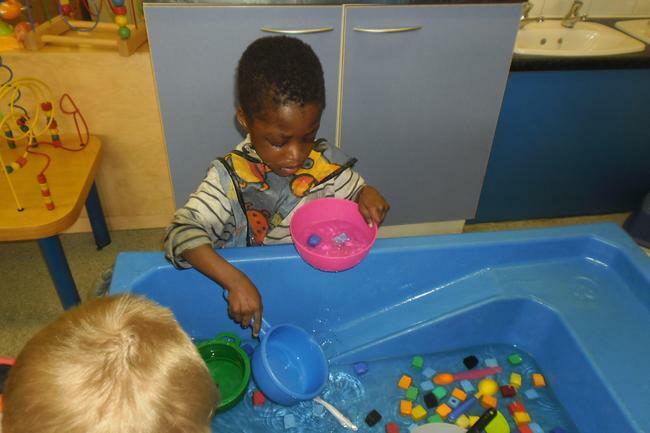 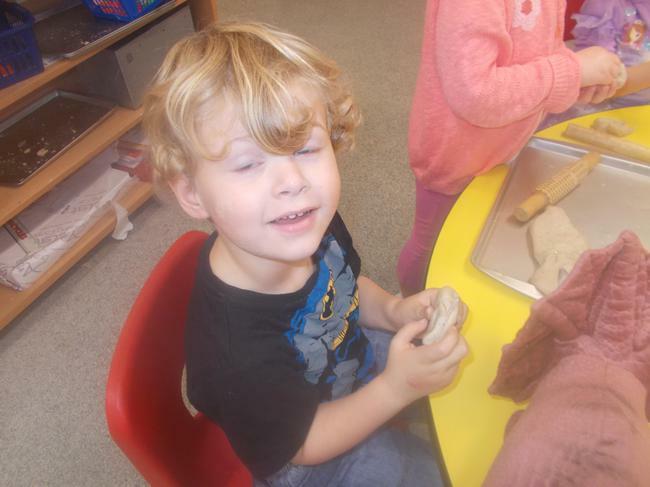 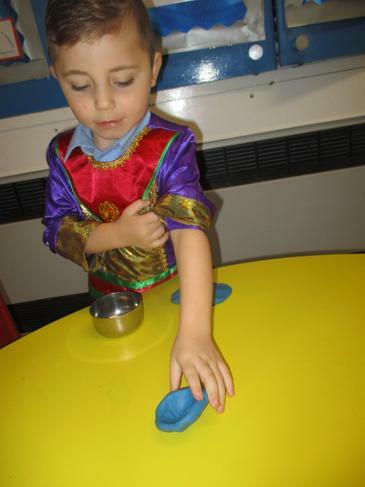 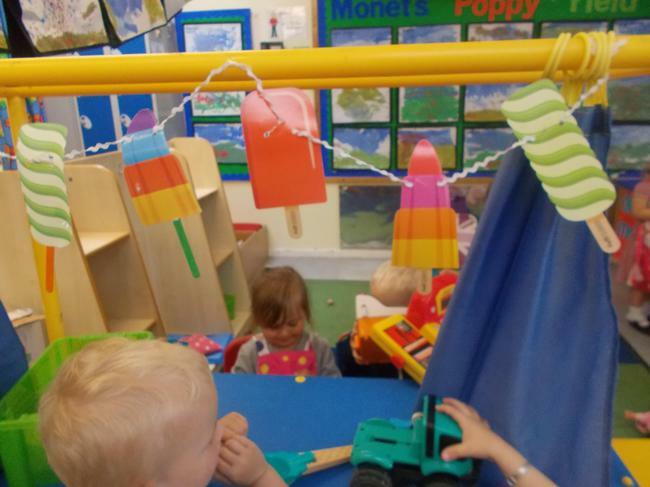 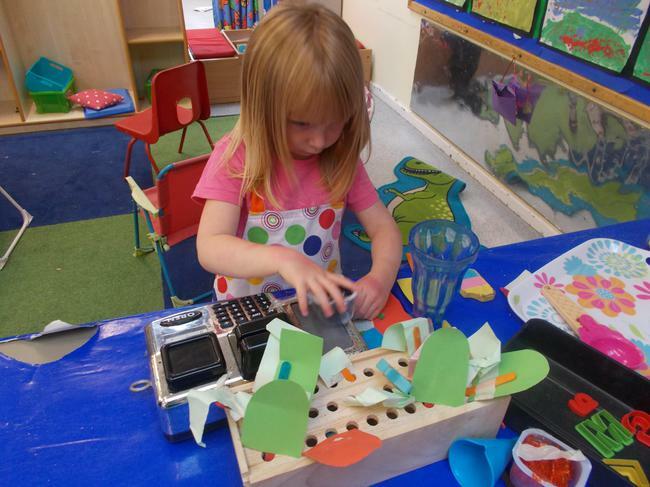 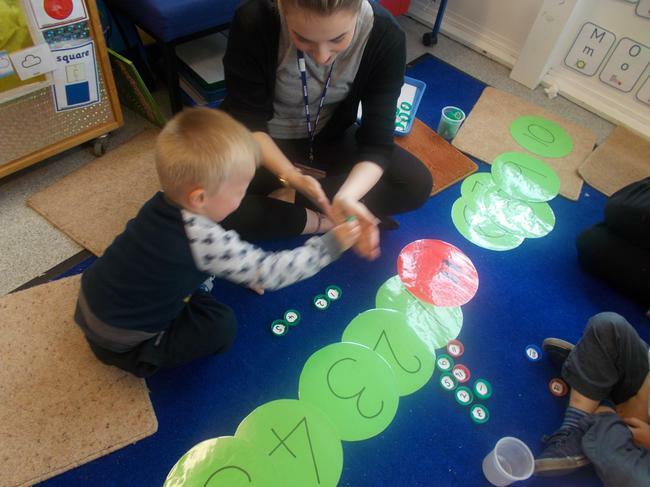 In the nursery we have had lots of fun learning about the festival of Diwali, often called the festival of lights. 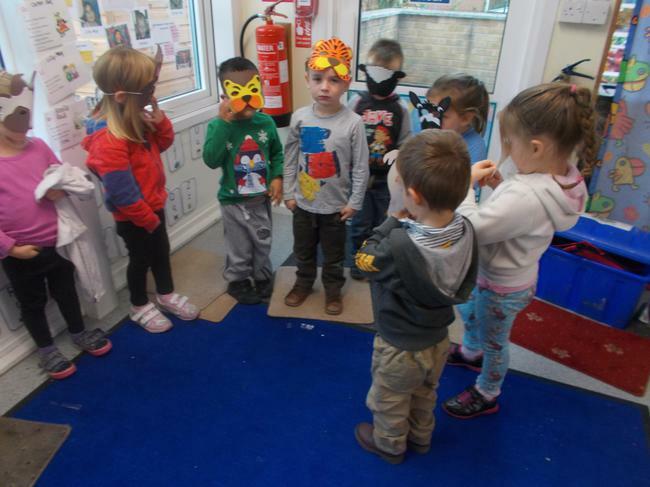 The children heard the story of Rama and Sita and then acted the story out using masks. 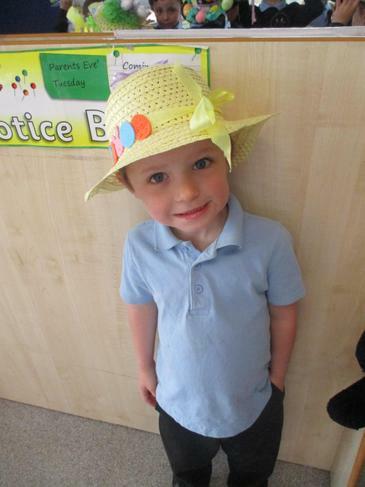 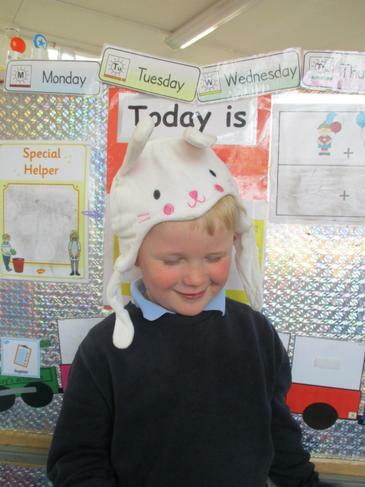 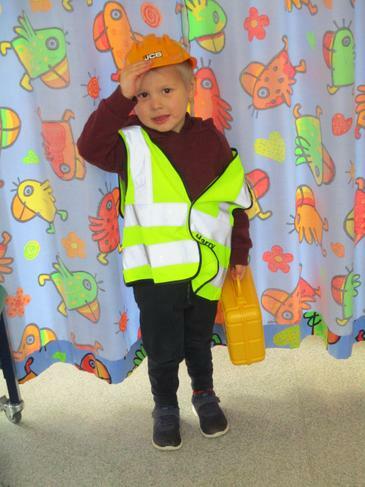 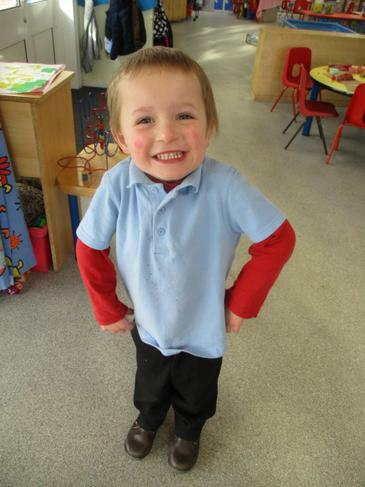 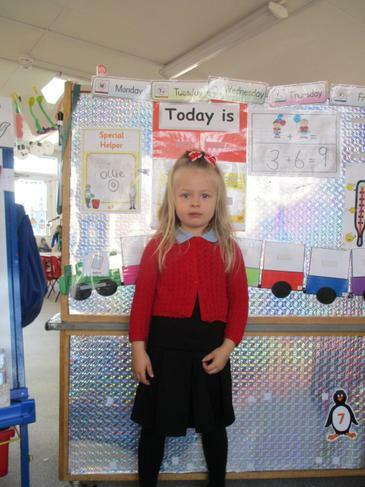 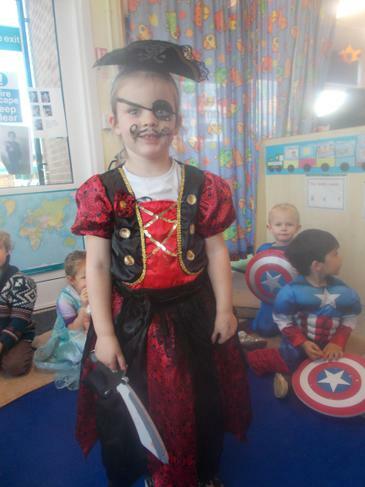 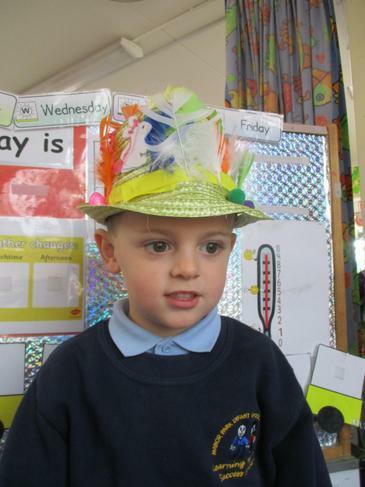 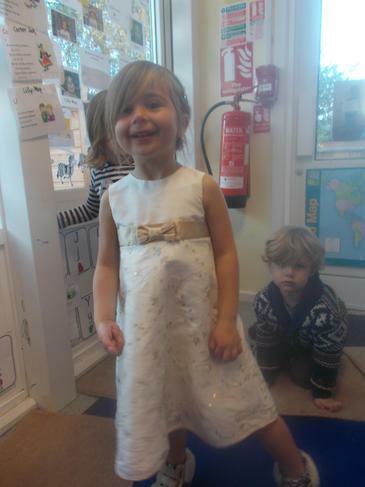 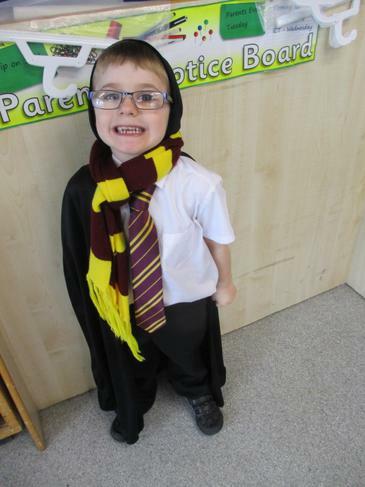 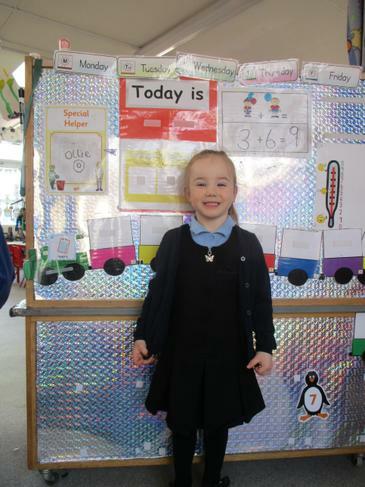 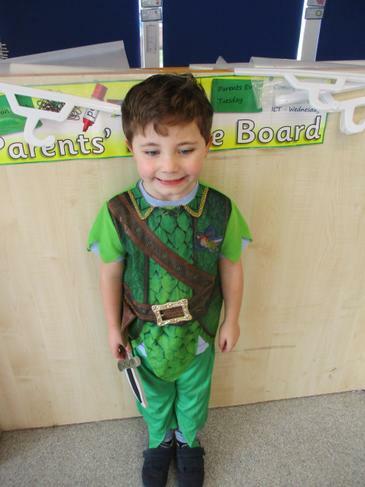 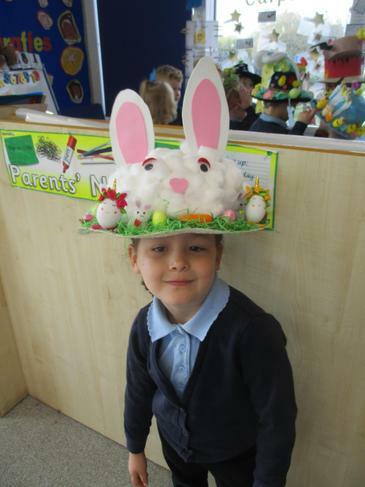 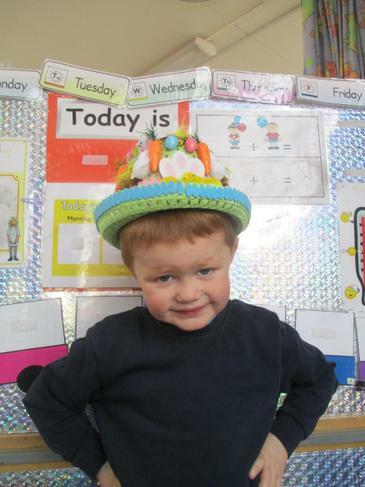 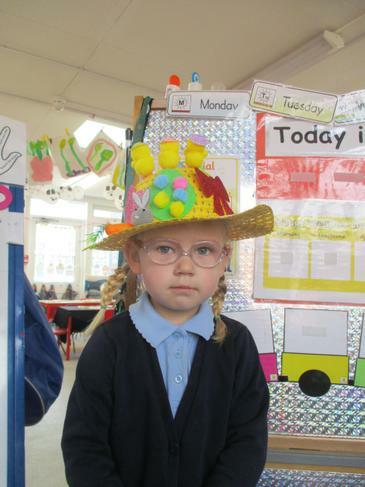 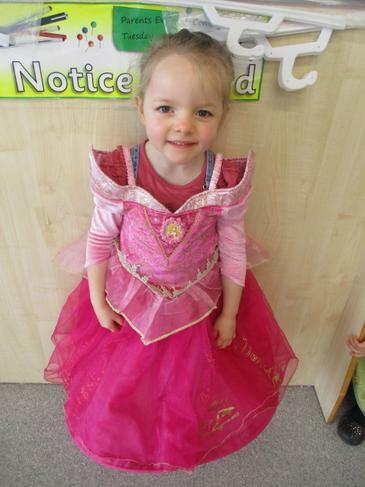 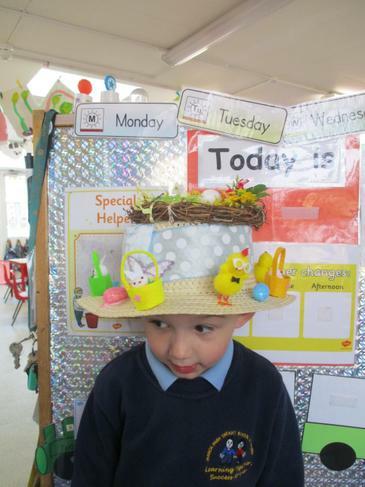 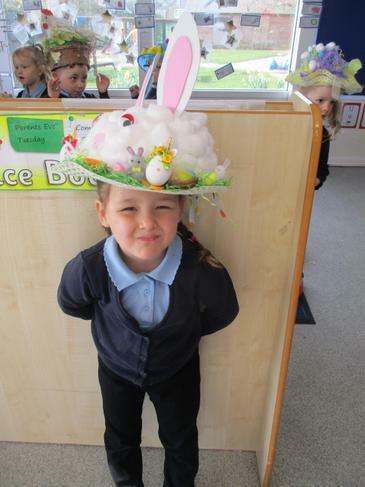 We also took part in a special shiny day which included dressing up and taking part in shiny activities. 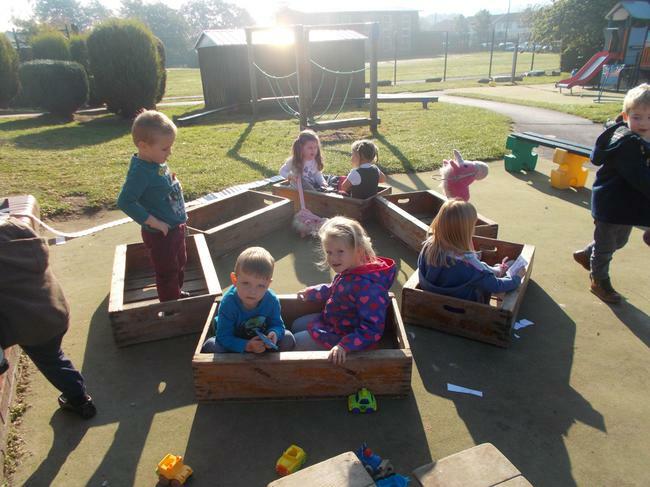 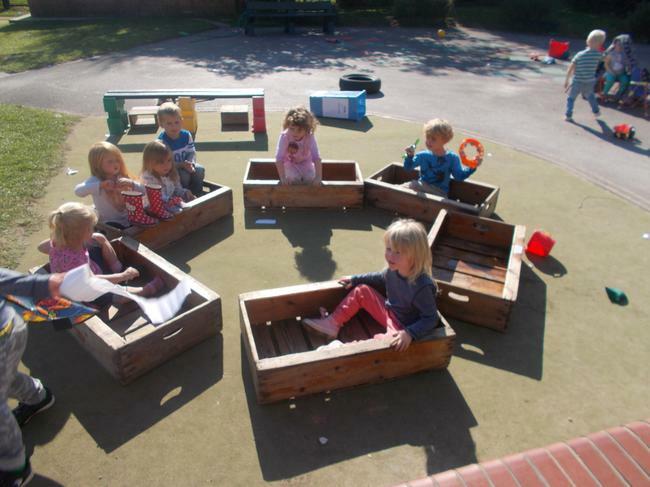 We created our own Goose Fair in the nursery garden. 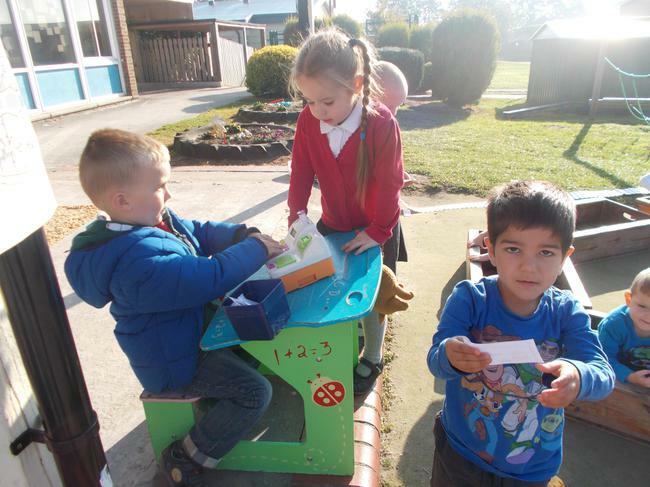 Some children took on the role of ticket sellers or collectors. 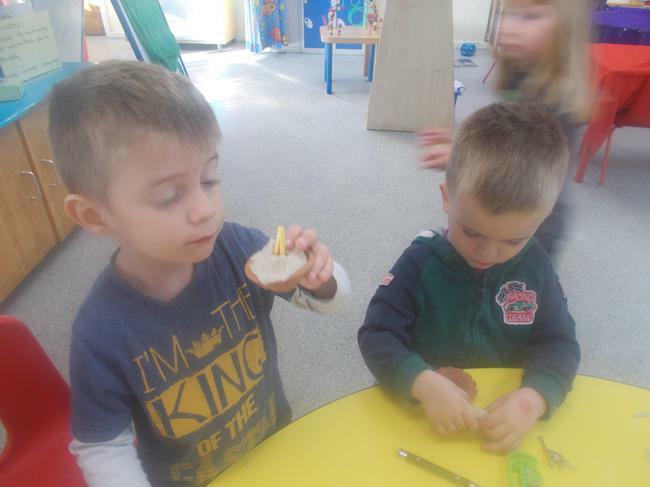 We also broke into a coconut and tried traditional fair food. 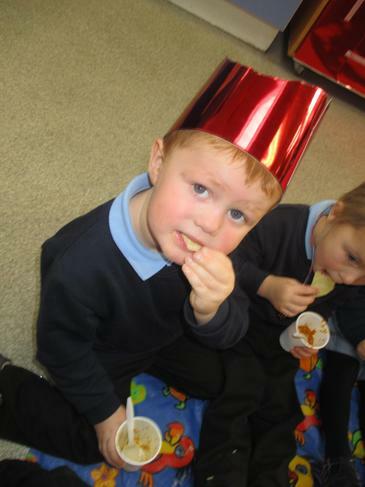 We celebrated in style by wearing our party clothes, having a banquet, dancing and taking part in lots of different activities. 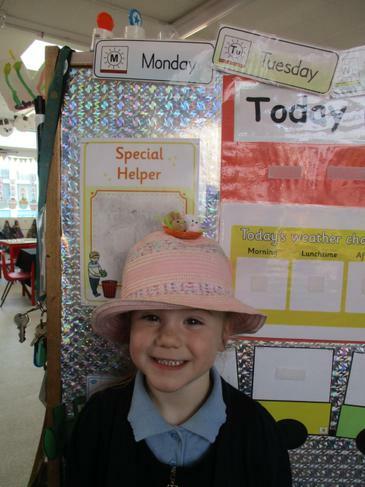 We started the term investigating minibeasts. 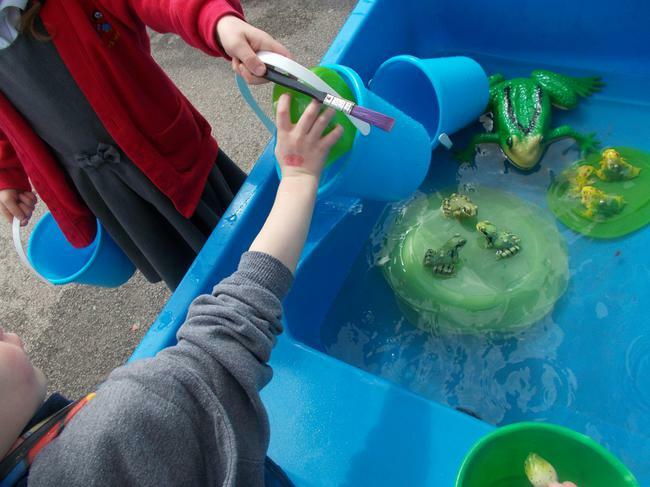 We looked at real minibeasts, watched tadpoles and learnt about the life cycle of a frog. 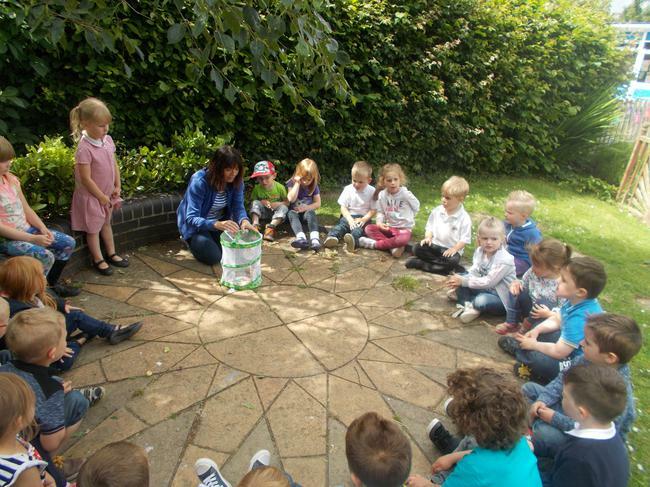 We had live caterplllars and studied them over the weeks, spinning their cocoons and releasing them as butterflies. 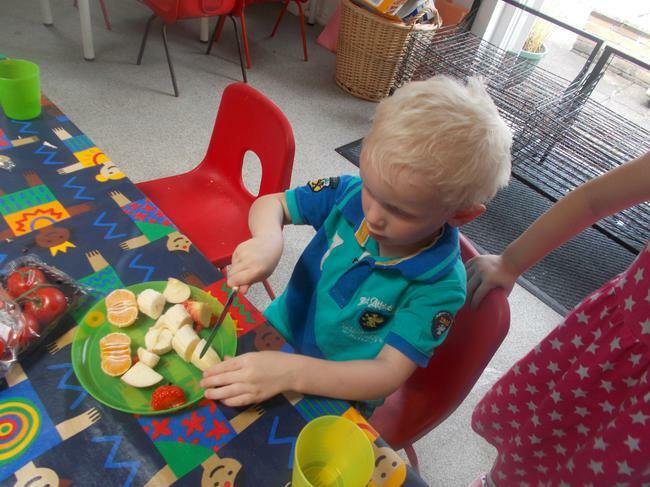 We enjoyed the Very Hungry Caterpillar story and made our own fruit salad. 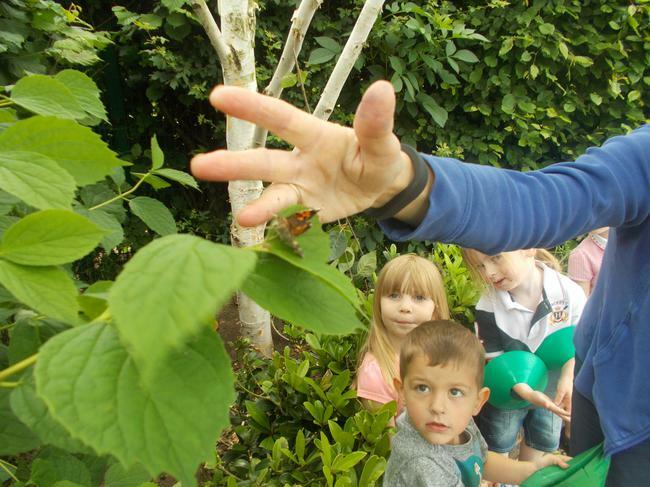 We went on a minibeast hunt in the wildlife garden and ticked off any we found, inclyding photos of them. 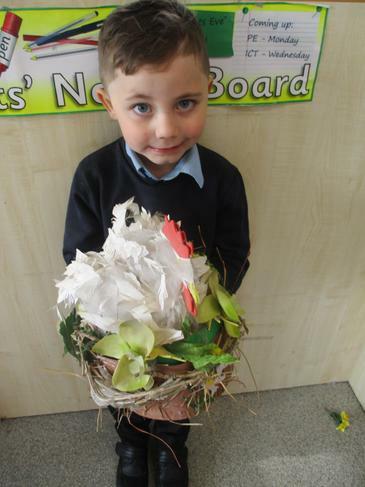 We finished our minibeast topic with an Ugly bug Ball. 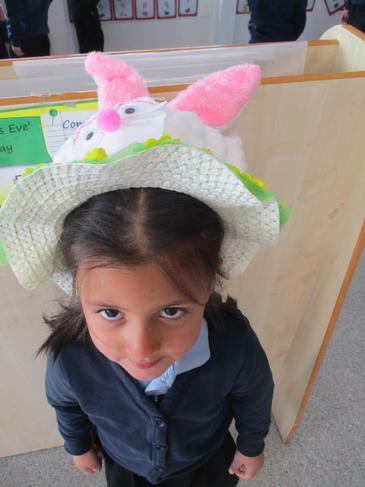 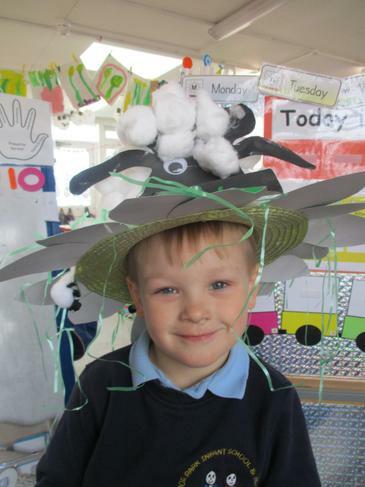 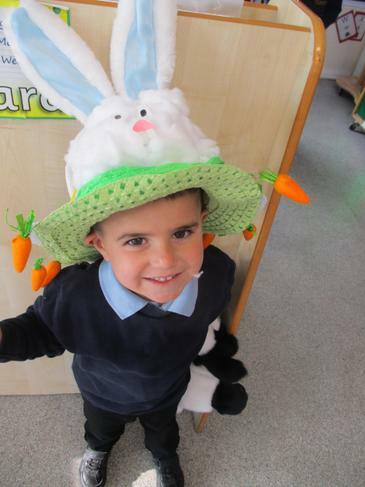 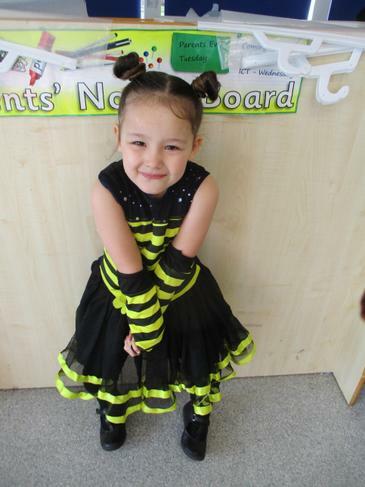 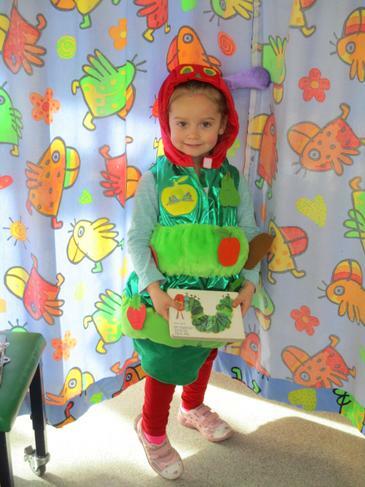 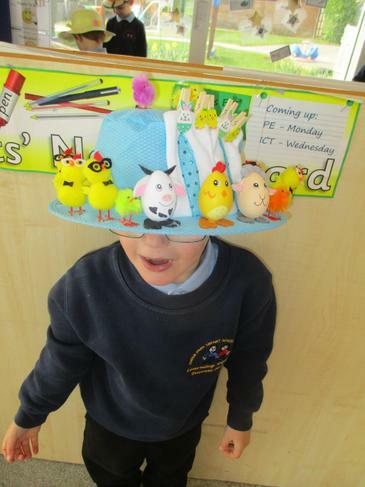 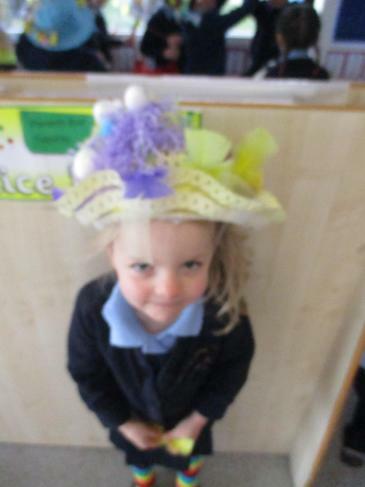 The children dressed up, we sang songs and played games and had amazing bug food. 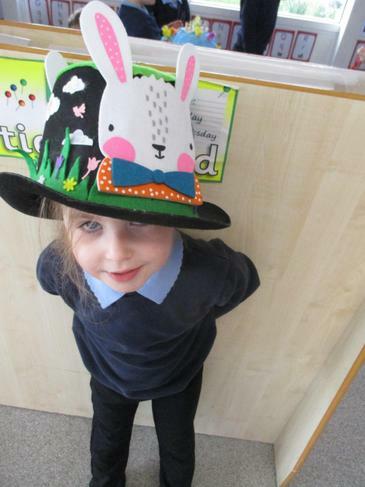 This last half term we moved onto zoo animals. 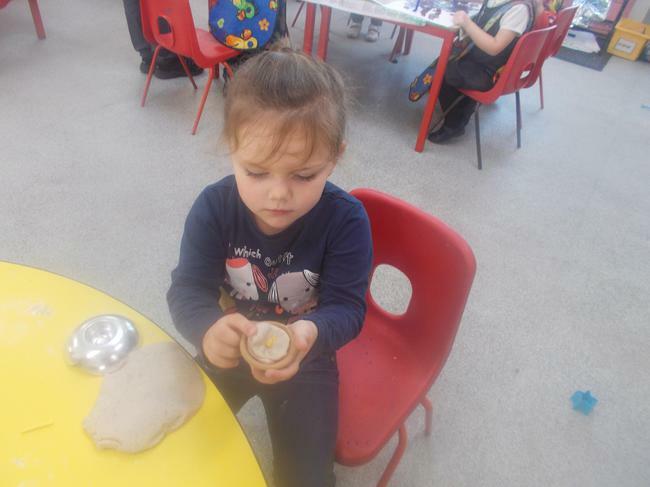 We learnt lots of interesting facts, played in a jungle area and finished the topic off with a wonderful trip to Twycross Zoo. 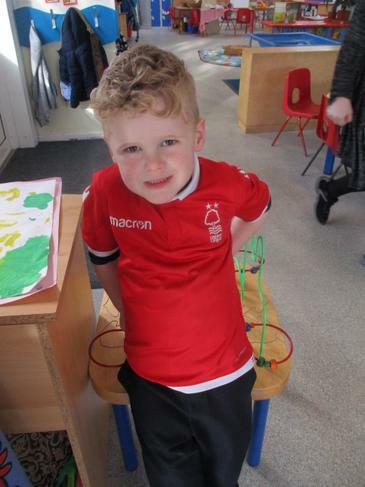 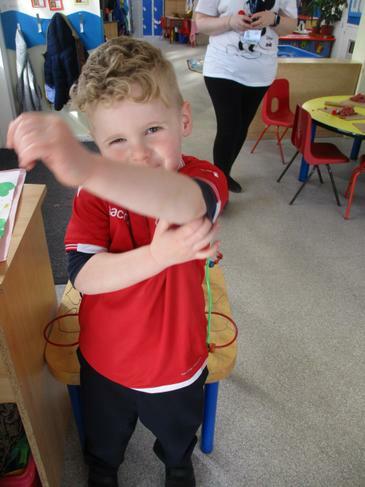 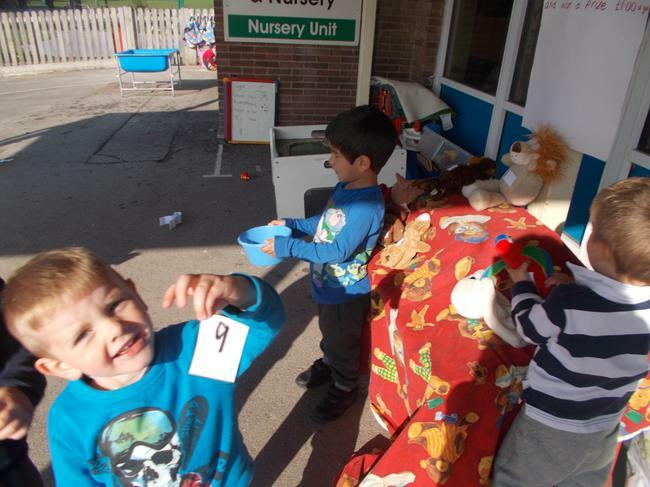 We had a wonderful Nursery Sports and Teddy Bear's Picnic. 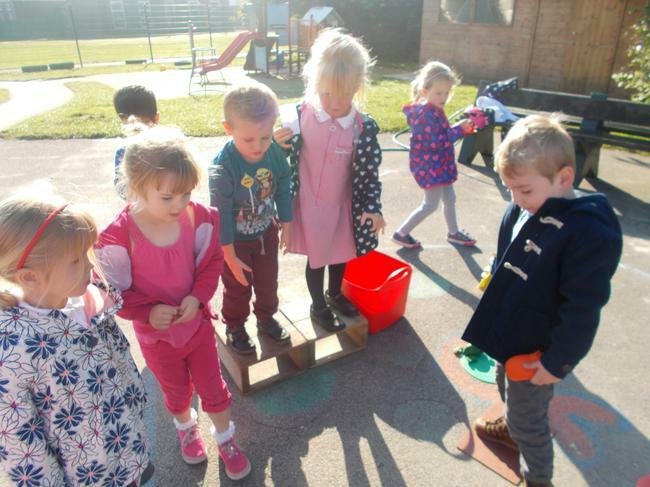 A lovely sunny day too. 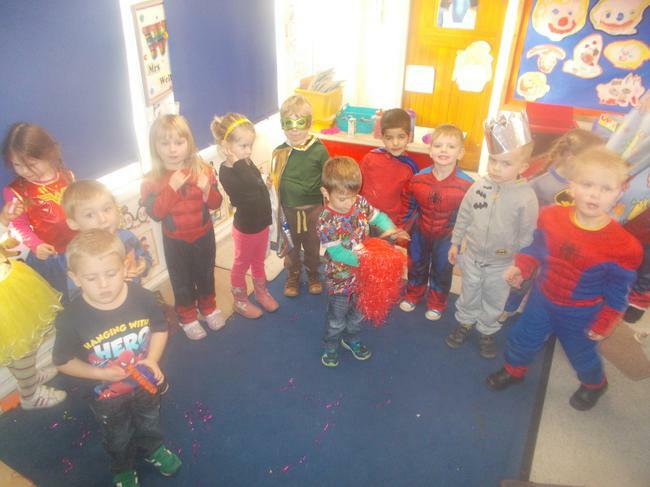 Me and My marvellous World. 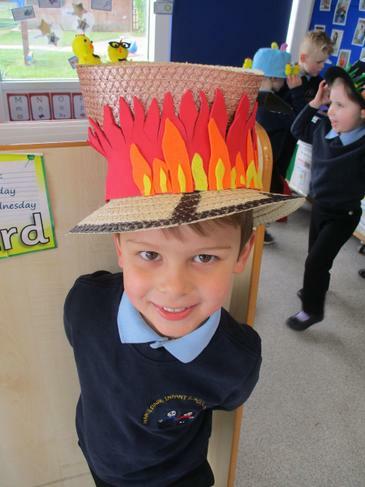 This term we focus on looking at ourselves, making new friends and all the wonderful festivals and celebrations such as Goose Fair, Autumn & Harvest, Bonfire Night, Diwali and of course the magic of Christmas. 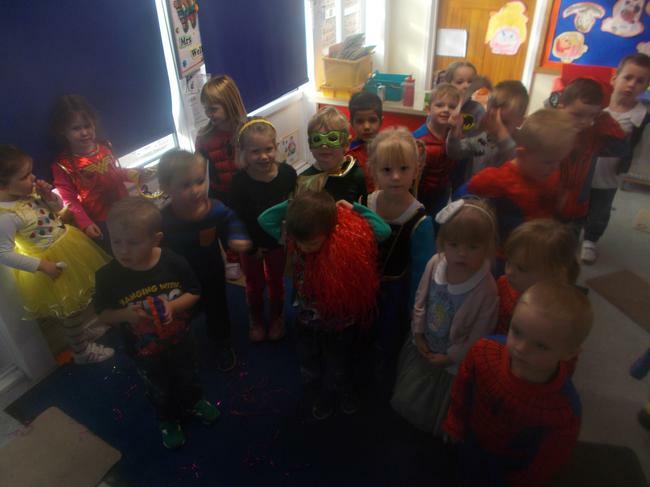 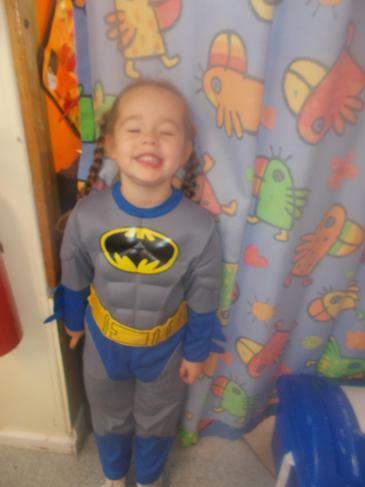 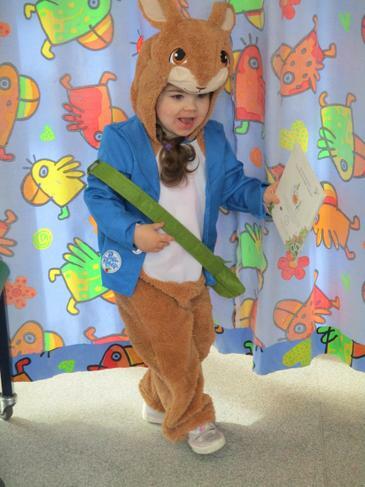 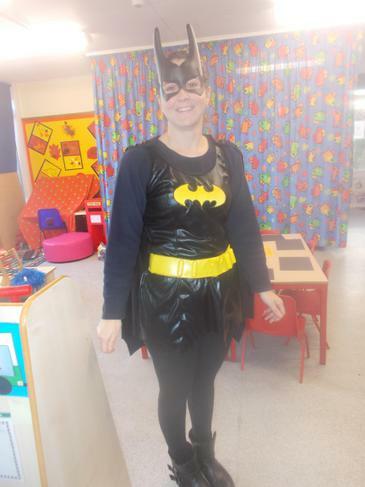 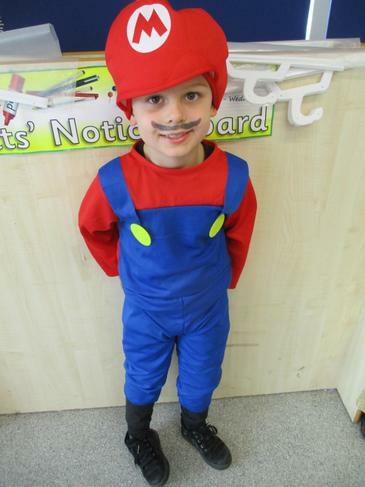 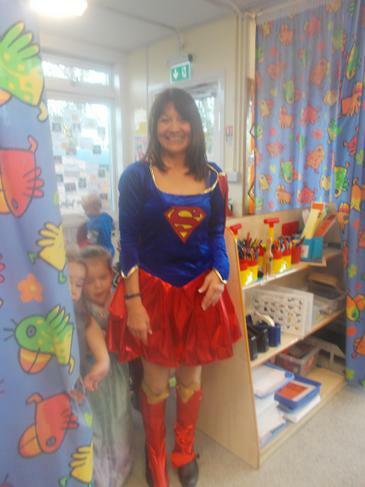 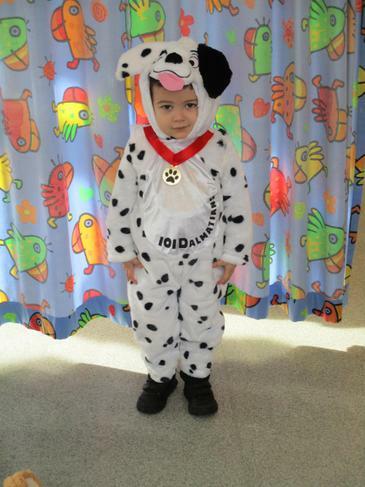 We combined Children in Need with our Shiny day and raised lots of money as well as having extra fun! 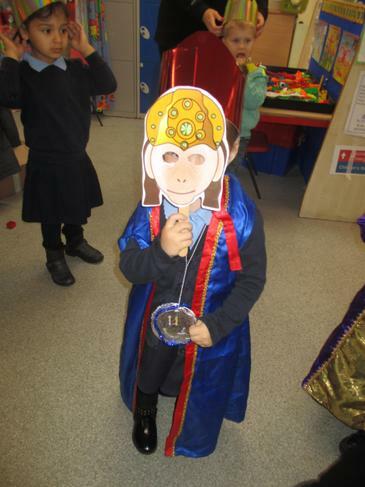 We learnt about the story of Rama and Sita and how the 10 headed monster captured Sita. 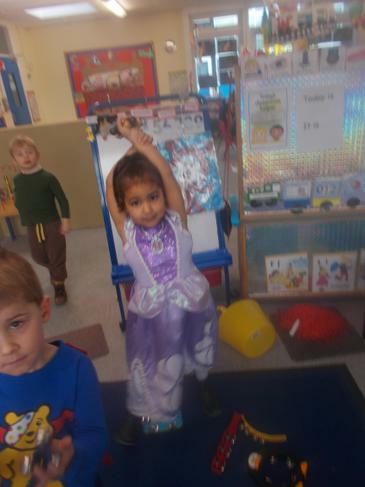 We danced to Indian music and played in the Indian kitchen. 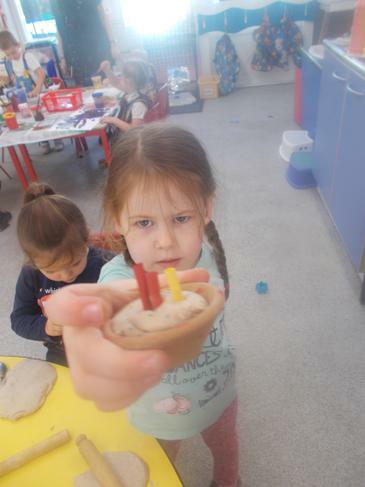 We made divas in the playdough, tasted some Indian food and painted some lovely illustrations from the story. 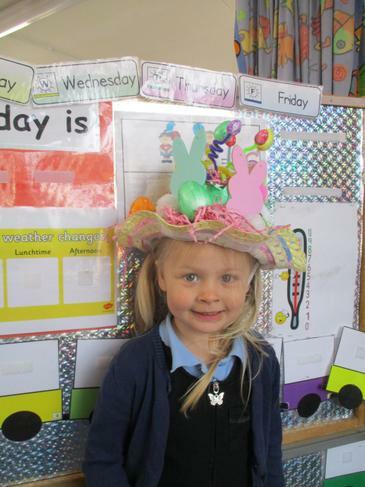 What a fun and busy week we had. 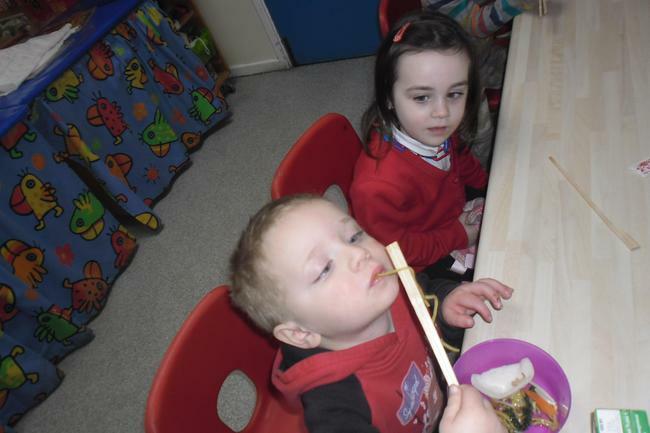 We tasted some delicious Indian food. 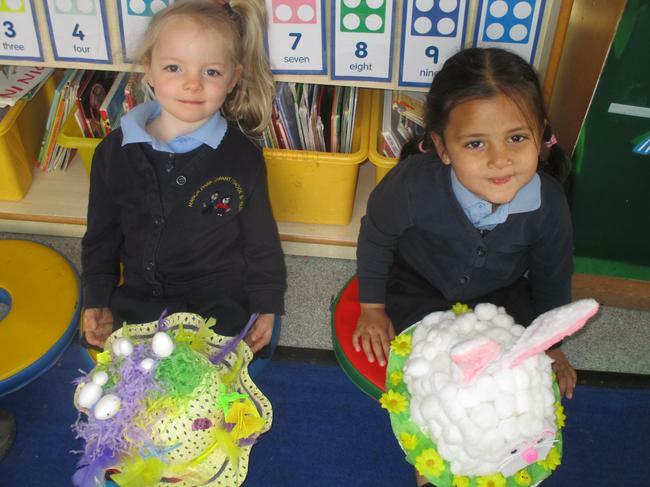 We explored lots about this beautiful season. 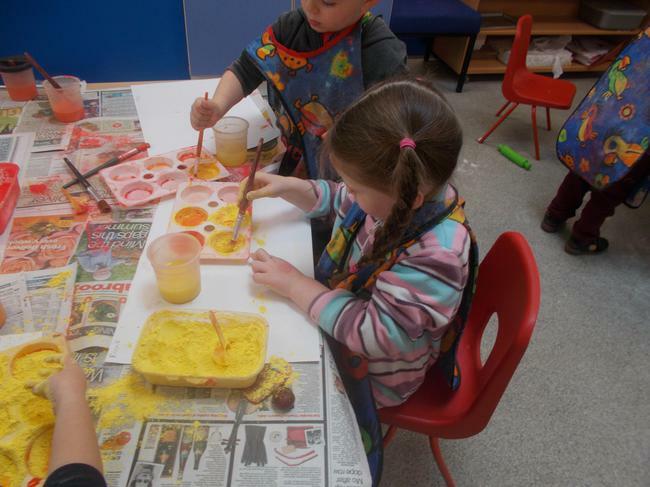 Lovely Autumn colours. 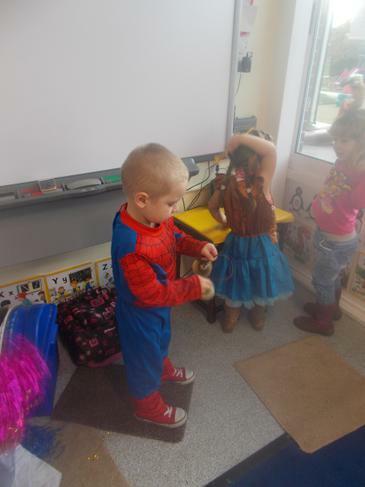 Children brought in conkers, acorns, beech nuts, and leaves. 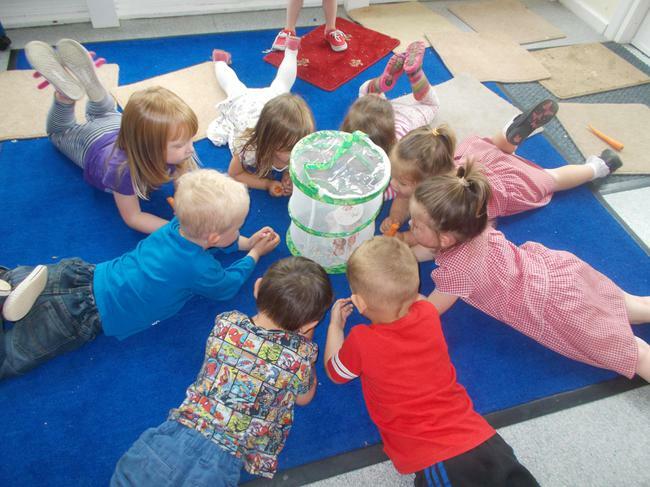 Our Amazing animals topic - We started the summer term studying mini beasts, looking at life cycles of the butterfly and frog. 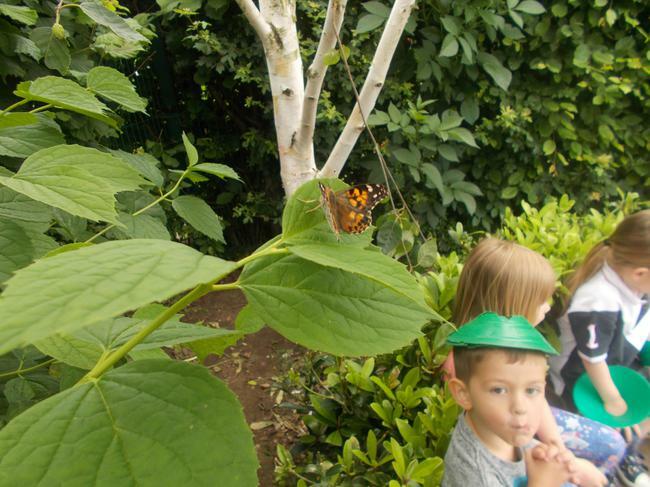 We ventured out into the wildlife garden and found our own mini beasts in different habitats. 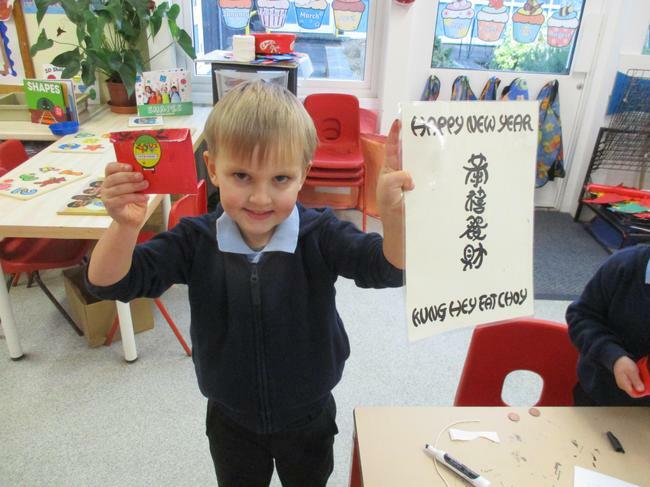 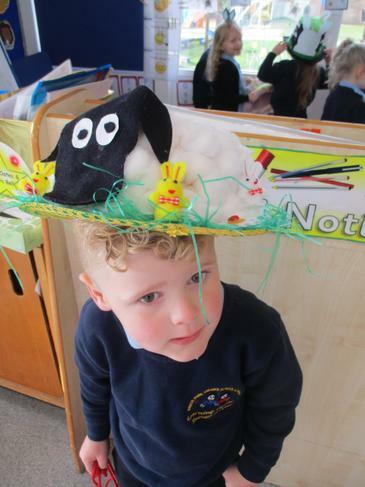 The nursery children enjoyed learning about another culture. 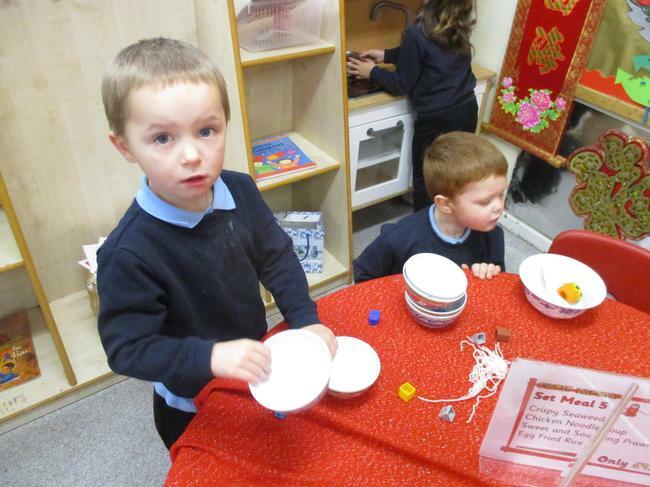 They tasted Chinese stir fry, used chopsticks and played in our Chinese restaurant. 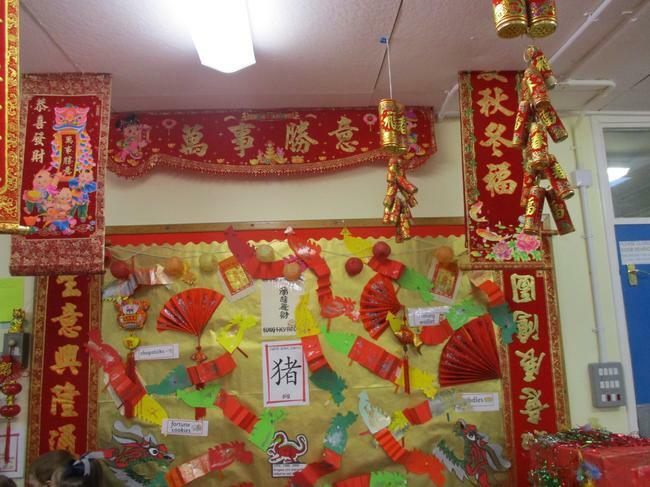 We made a lovely display with our Chinese writing, our lucky envelopes and Chinese dragons. 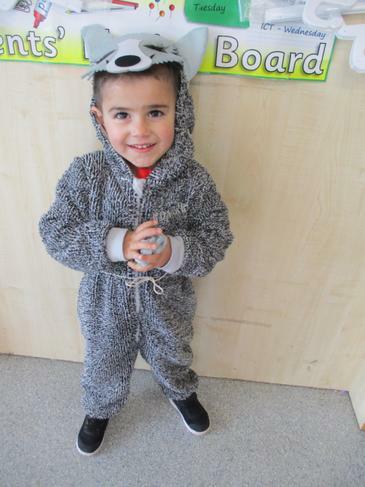 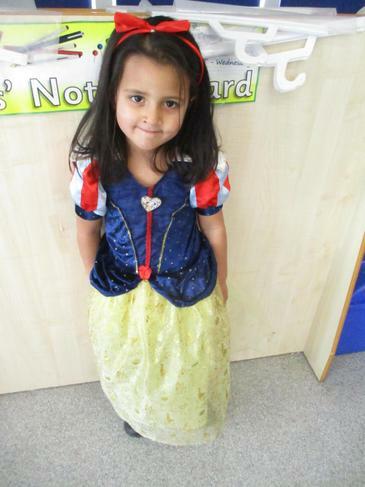 This term we are focusing on Traditional Tales. 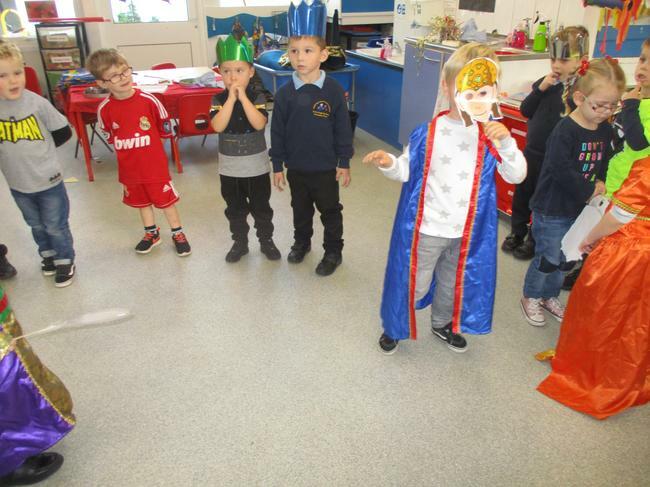 We begin with The Three Billy Goats Gruff. 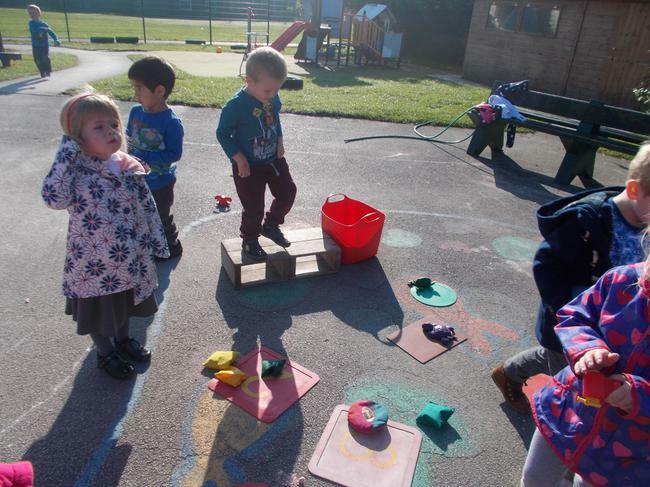 The children used different construction materials to make a bridge for the goats to cross. 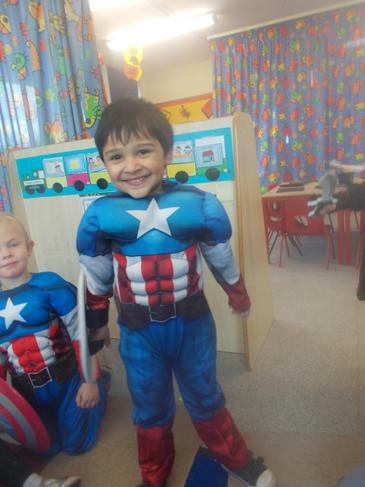 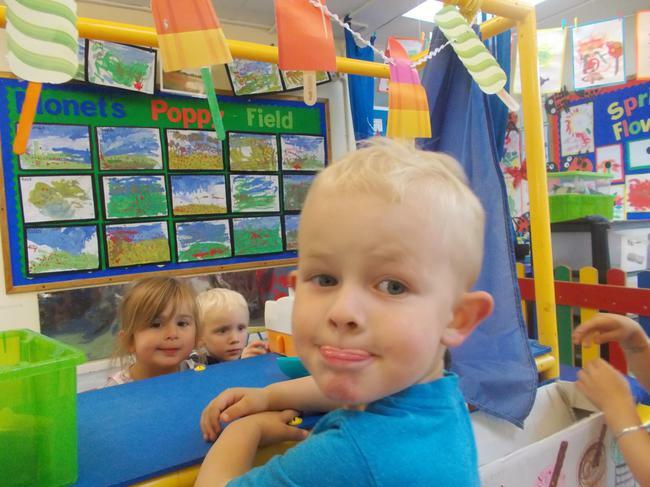 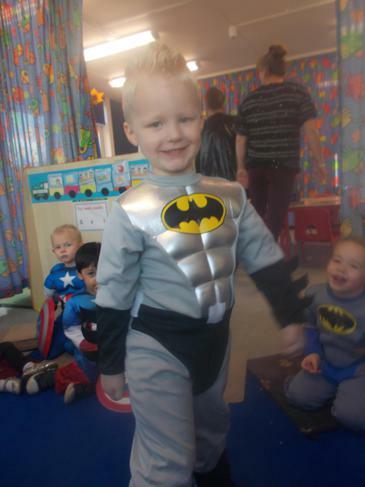 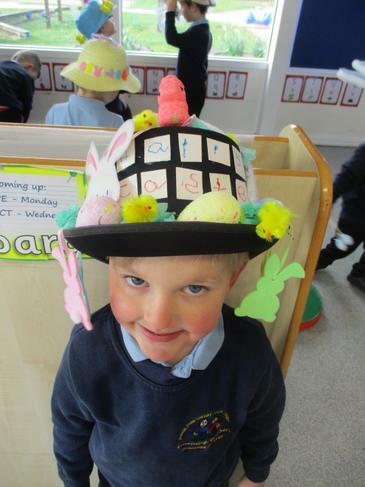 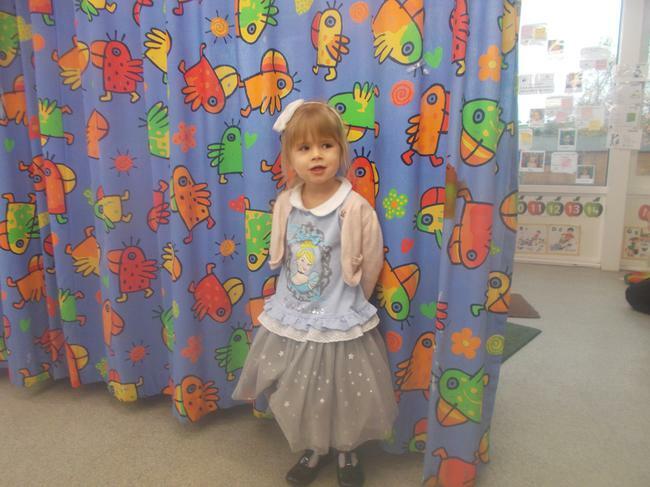 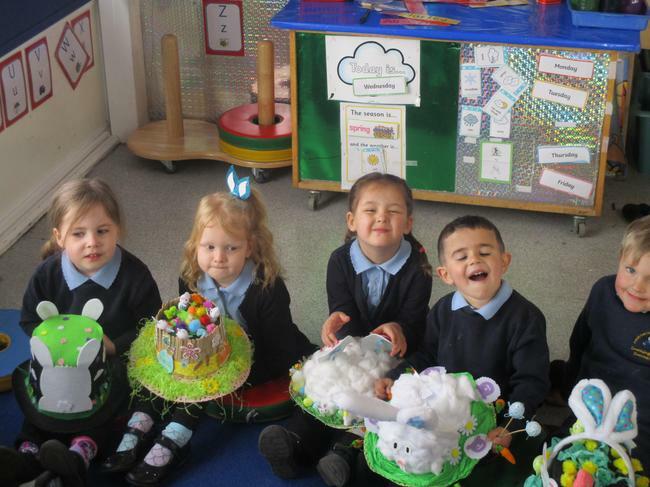 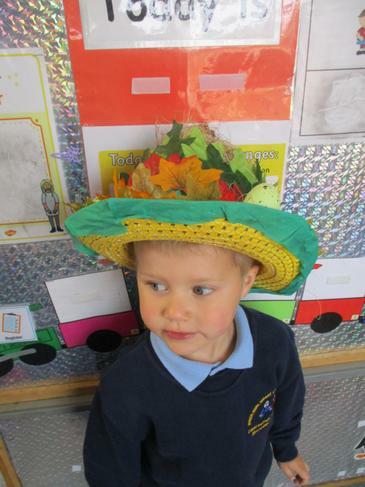 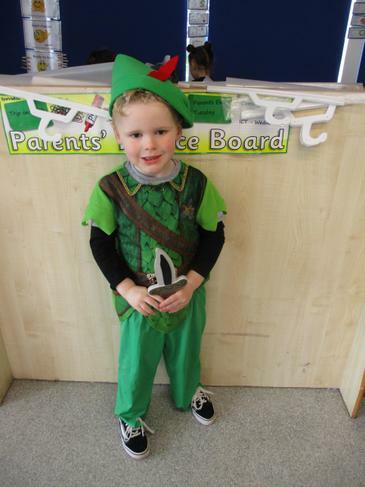 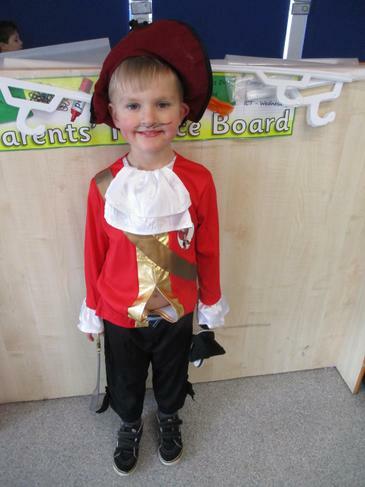 In the Autumn term we focused on a range of celebrations and festivals. 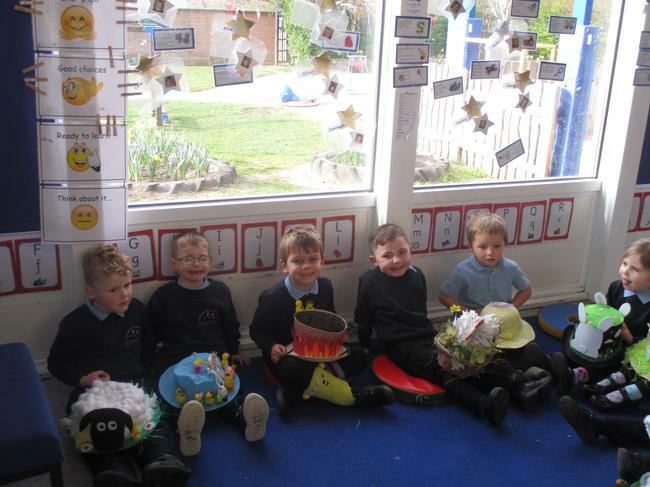 These included celebrating the children's own birthdays, Goose fair, Bonfire night, Diwali and Christmas. 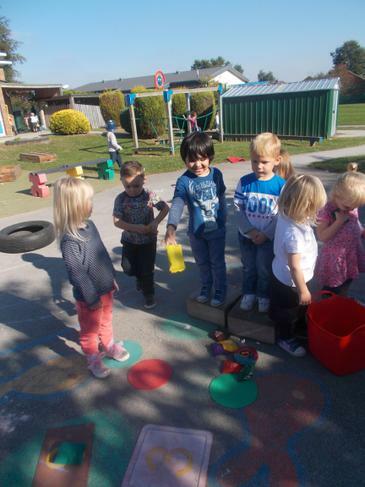 Following the story Whatever Next we learnt all about space! 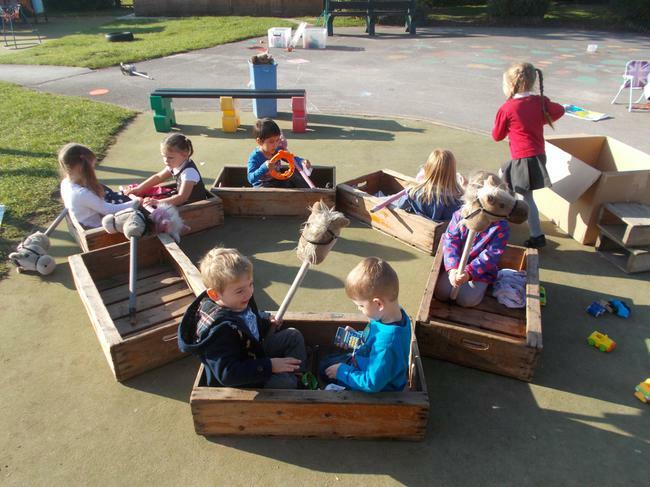 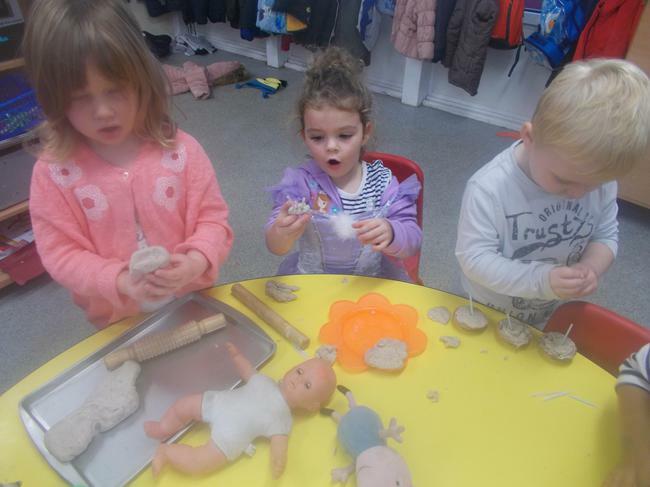 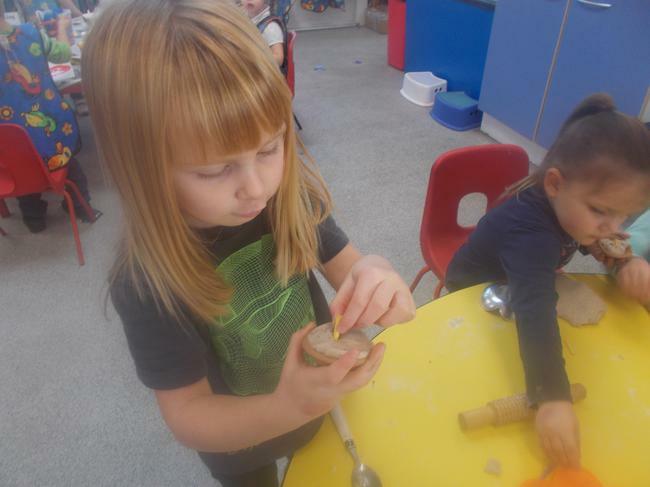 We had a spaceship role play area, played games, looked at the planets and made even made some planets out of paper mache. 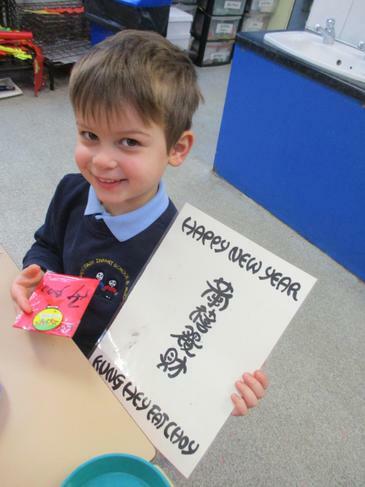 We celebrated Chinese New year and Pancake day. 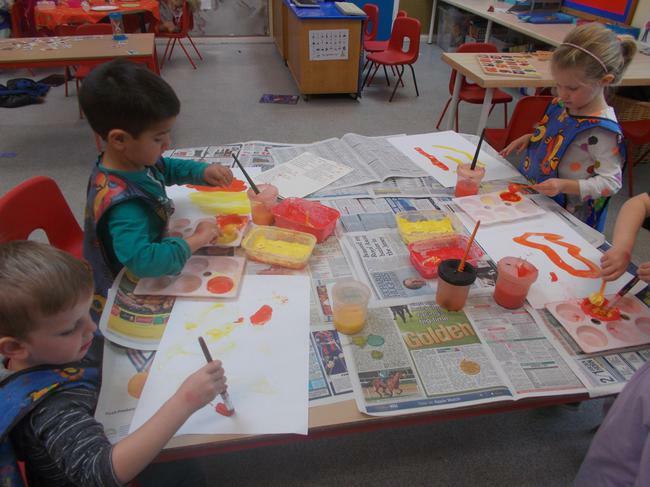 We began the term by looking at colour and texture. 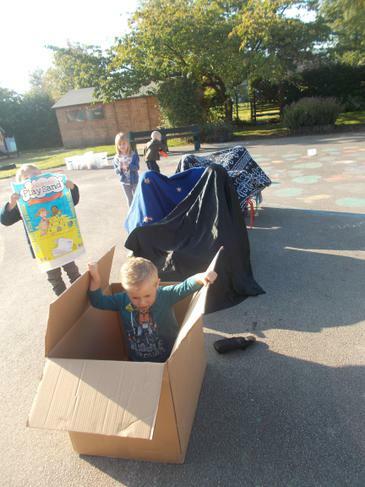 To celebrate Goose Fair we took part in fairground games outside and made our own rides. 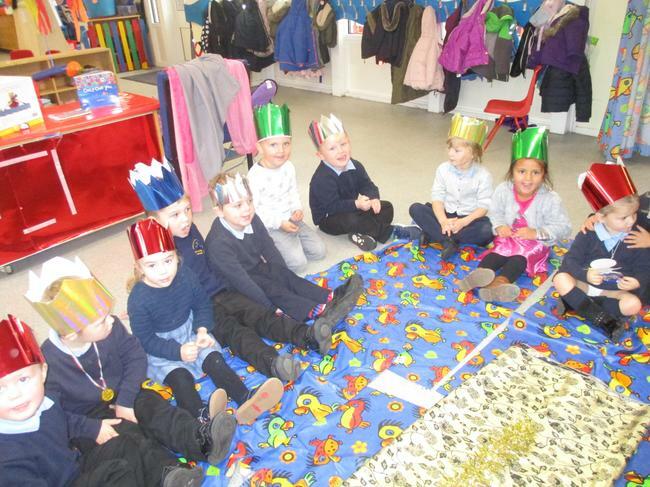 At the end of the term we learnt about Christmas. 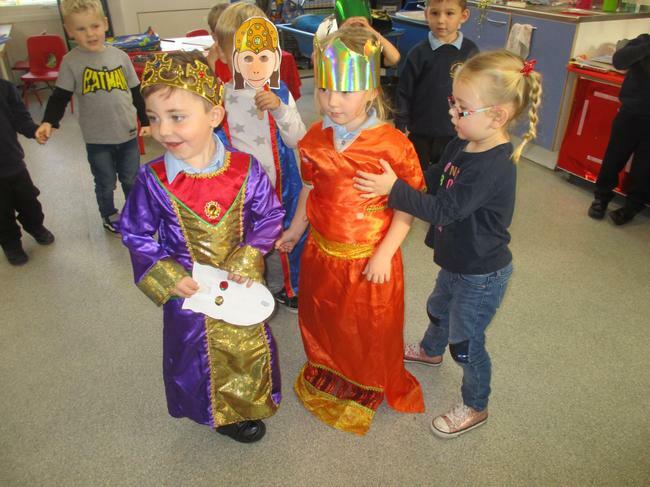 We took part in a Nativity concert and created gifts for our family.